The invention relates to thermoplastic moulded masses containing A) between 10 and 98 wt. % of at least one thermoplastic polymer, B) between 0.01 and 50 wt. % of B1) at least one highly branched or hyperbranched polycarbonate with an OH-number of between 1 and 600 mg KOH/g of polycarbonate (according to DIN 53240, part 2), or B2) at least one highly branched or hyperbranched polyester of type AxBy where x represents at least 1.1 and y represents at least 2.1, or the mixtures thereof; C) between 1 and 40 wt. % of a halogen-free flame protection agent selected from the group of compounds containing phosphorus or nitrogen, or the P-N condensates or the mixtures thereof; and D) between 0 and 60 wt. % of other additives, the sum of the weight per cent of the constituents A) to D) amounting to100 %. 其中组分A)_D)的重量百分数之和为100%。 Percentages by weight of , wherein component A) _D) is 100%. 本发明进一步涉及本发明模塑组合物在生产纤维、箔或模制品中的用途以及所得任何类型的模制品。  The present invention further relates to the use of the molding compositions of the invention and any type of the resulting molded article in production of fibers, foils, or of moldings. 市场越来越对含有无卤阻燃剂的聚酯感兴趣。  The growing interest in the market for polyester containing halogen-free flame retardant. 对阻燃剂的显著要求是：固有颜色浅、对于掺入热塑性材料中具有足够热稳定性且在增强聚合物和未增强聚合物中有效（与玻璃纤维的“芯吸效应”）。 Significant demand for flame retardants are: pale intrinsic color, for the incorporation of thermoplastic material having sufficient thermal stability and efficient (and glass fiber "wicking") in non-reinforced polymer and reinforcing polymer. 对于未增强的聚酯而言，在这里应通过VO级UL 94防火试验。  For non-reinforced polyester, in this fire test UL 94 VO level should be adopted. 对于增强的聚酯而言，在灼热丝试验中应至少达到V-2级和/或通过该试验。 For reinforced polyester, in the glow-wire test should be at least V-2 stages and / or passes the test. JP-A 08/269 306和JP-A 09/157 503公开了由蜜胺氰脲酸酯（MC)、磷酸酯和脱模剂组成的聚酯阻燃剂组合，这些组合可能包含低于10重量％的玻璃纤维。  JP-A 08/269 306 and JP-A 09/157 503 discloses a melamine cyanurate (MC), a combination of a phosphate flame retardant polyester composition and a release agent, these compositions may contain less than 10 wt% of glass fibers. 这些模塑组合物的机械性能和阻燃性能并不令人满意。 These mechanical properties and flame retardant properties of the molding composition is not satisfactory. JP-A 06/157 880和WO 97/0 57 05公开了纤维增强的聚酯模塑组合物，其包含MC或桥接双酚作为阻燃剂。  JP-A 06/157 880 and WO 97/0 57 05 discloses a fiber-reinforced polyester molding composition comprising a flame retardant as MC or bridged bisphenols. 这些模塑组合物的缺点是高酚值（添加剂迁移），以及在加工过程中的模具沉积和棕色着色。 Disadvantage  These molding compositions are phenol high value (migration of the additive), as well as mold deposits and brown coloring during processing. 通常将低分子量添加剂加入热塑性材料中以改善流动性。  The low molecular weight additives are usually added to the thermoplastic material to improve the flowability. 然而，这些添加剂的作用非常有限，因为例如机械性能的降低在添加剂量增加时变得不可接受且阻燃剂的效力在大多数情况下也下降。 However, the role of these additives is very limited, because the mechanical properties such as reduced efficacy becomes unacceptably flame retardant and in most cases also decreases the amount of the additive increases. W0-97/45474公开了在聚酯中以AB2分子形式包含树枝状聚酯的热塑性组合物。  W0-97 / 45474 discloses a thermoplastic composition comprising dendritic polyester in the polyester to form AB2 molecule. 这里作为核分子的多元醇与作为仙2分子的二甲基丙酸反应，得到树枝状聚酯。 Here, as core molecule with a polyhydric alcohol as dimethyl propanoic acid molecules 2 cents, to obtain dendritic polyester. 该聚合物仅在链端包含OH官能团。 The polymer containing only OH functional group at the chain end. 这些混合物的缺点是树枝状聚酯的玻璃化转变温度高，制备方法较复杂以及尤其是树枝状聚合物（dendrimer)在聚酯基体中的不良溶解性。 A disadvantage of these mixtures dendritic polyester having a glass transition temperature higher, more complicated method of preparation and poor solubility in particular dendrimer (a dendrimer) in the polyester matrix. 根据DE-A 101 32拟8的教导，借助配混和固相后缩合掺入这种类型的支化剂改善了机械性能（分子量增加）。  It is proposed according to the teachings of 8 DE-A 101 32, by means of mixing with the solid-phase condensation of incorporation of branching agents of this type improves the mechanical properties (molecular weight increase). 所述工艺变型的缺点是前面描述的长制备时间和不利性能。 The disadvantage of the process variants described above preparation time is long and unfavorable performance. DE 102004 005652. 8和DE 102004 005657. 9已经提出了用于聚酯的新型流动改进剂。  DE 102004 005652. 8 and DE 102004 005657. 9 have been proposed novel flow improvers for polyesters. 因此，本发明的目的是提供热塑性阻燃聚合物模塑组合物，其具有良好的流动性和良好的机械性能以及还具有阻燃性。  Accordingly, an object of the present invention is to provide a thermoplastic flame-retardant polymer molding composition, which has good flowability and good mechanical properties and also has flame retardancy. 具体而言，该添加剂既不渗出也不引起任何模具沉积。 Specifically, the additive neither bleeding nor cause any mold deposit. 原则上该有利效果对使用任何类型热塑性材料的本发明模塑组合物是明显的。  In principle, the advantageous effect of the use of any type of thermoplastic molding compositions according to the present invention will be apparent. 一类合适的热塑性材料例如在KunststofT-Taschenbuch[塑料手册](Mechtling编辑)， 1989年版中可以找到，该文献也提到了供应源。 A suitable thermoplastic material such KunststofT-Taschenbuch [Plastics Handbook] (Mechtling eds. ), 1989 edition can be found in, this document also mentions the supply source. 制备这些热塑性材料的方法对本领域熟练技术人员而言是已知的。 Methods of preparing these thermoplastic materials to those skilled in the art are known. 优选的热塑性材料是选自聚酰胺、乙烯基芳族聚合物、ASA聚合物、ABS聚合物、 SAN聚合物、POM、PPE、聚亚芳基醚砜的那些，优选聚酯和聚碳酸酯。  The preferred thermoplastic material is selected from polyamides, vinylaromatic polymers, ASA polymers, ABS polymers, SAN polymers, POM, PPE, those, preferred are polyester polyarylene ether sulfones and poly Carbonate. 本发明的模塑组合物包含10-98重量％，优选30-97. 99重量％，尤其是30_95重量％至少一种热塑性聚合物，优选聚酯/聚碳酸酯作为组分（A)。  The molding compositions of the invention comprise 10-98% by weight, preferably 30-97. 99% by weight, in particular 30_95% by weight of at least one thermoplastic polymer, preferably polyester / polycarbonate as component (A ). 通常使用基于芳族二羧酸和脂族或芳族二羟基化合物的聚酯A)。  A typically polyester based on aromatic dicarboxylic acids and aliphatic or aromatic dihydroxy compound). 2-10个碳原子的那些。 Those 2 to 10 carbon atoms. 这类聚对苯二甲酸亚烷基二醇酯本身是已知的且描述于文献中。  Such polyethylene terephthalate polyalkylene glycol ester per se are known and described in the literature. 它们的主链含有衍生于芳族二羧酸的芳族环。 Their main chain contains an aromatic dicarboxylic acid derived from an aromatic ring. 芳族环还可以被取代，例如被卤素如氯或溴取代，或被C1-C4 烷基如甲基、乙基、异丙基、正丙基、正丁基、异丁基或叔丁基取代。 Aromatic ring may further be substituted, for example by halogen such as chlorine or bromine, or C1-C4 alkyl such as methyl, ethyl, isopropyl, n-propyl, n-butyl, isobutyl or tert-butyl replaced. 这些聚对苯二甲酸亚烷基二醇酯可以通过使芳族二羧酸或其酯或其他成酯衍生物与脂族二羟基化合物以本身已知的方式反应而制备。  The polyethylene terephthalate may be prepared by reacting an alkylene glycol ester of aromatic dicarboxylic acid or ester or other ester-forming derivative thereof with aliphatic dihydroxy compounds in a manner known per se reactions. 二酸、癸二酸、十二烷二酸和环己烷二甲酸代替。 Acid, sebacic acid, dodecanedioic acid and cyclohexanedicarboxylic acid instead. 3-丙二醇、1，4_ 丁二醇、1，6-己二醇、1，4-己二醇、1，4_环己烷二醇、1，4_环己烷二甲醇和新戊二醇，以及它们的混合物。 1,3-propanediol, 1,4_-butanediol, 1,6-hexanediol, 1,4-hexanediol, cyclohexanediol 1,4_, 1,4_ cyclohexanedimethanol and neopentyl alcohols, and mixtures thereof. 特别优选的聚酯（A)是衍生于具有2-6个碳原子的链烷二醇的聚对苯二甲酸亚烷基二醇酯。  Particularly preferred polyesters (A) are derived from alkanediols having 2-6 carbon atoms, polyethylene terephthalate polyalkylene glycol ester. 其中特别优选聚对苯二甲酸乙二醇酯、聚对苯二甲酸丙二醇酯和聚对苯二甲酸丁二醇酯，以及它们的混合物。 Particularly preferred polyethylene terephthalate, polypropylene terephthalate, polybutylene terephthalate and polyethylene terephthalate, and mixtures thereof. 还优选包含至多1重量％，优选至多0. 75重量％的1，6_己二醇和/或2-甲基-1，5-戊二醇作为其他单体单元的PET和/或PBT。 Preferably further comprises up to 1 wt%, preferably up to 0.75 wt% of 1,6_-hexanediol and / or 2-methyl-1,5-pentanediol as other monomer units PET and / or PBT. 聚酯（A)的粘数按照ISO 1628通常为50-220，优选80-160(在25°C下在重量比为1 ： 1的苯酚/邻二氯苯混合物中的浓度为0.5重量％的溶液中测量）。  The viscosity number of the polyester (A) in accordance with ISO 1628 is generally 50-220, preferably 80-160 (at 25 ° C for a weight ratio of 1: 1 phenol / o-dichlorobenzene mixture in a concentration of 0.5 wt% solution of measurement). 特别优选羧基端基含量为至多lOOmval/kg聚酯，优选至多50mVal/kg聚酯，尤其至多40mVal/kg聚酯的聚酯。  Particularly preferred carboxyl end group content of at most lOOmval / kg polyester, most preferably 50mVal / kg of polyester, in particular at most 40mVal / kg polyester polyester. 这类聚酯例如可以通过DE-A 44 01055的方法制备。 Such polyesters can be prepared, for example, by the process of DE-A 44 01055. 羧基端基含量通常通过滴定方法（如电势分析法）测定。 Carboxyl end group content is usually determined by titration methods (eg potentiometry). 特别优选的模塑组合物包含作为组分A)的PBT以外的聚酯如聚对苯二甲酸乙二醇酯（PET)的混合物。  A particularly preferred molding composition comprising a polyester other than PBT as component A) mixture, such as polyethylene terephthalate (PET) is. 例如聚对苯二甲酸乙二醇酯在该混合物中的比例基于100重量％A) 优选为至多50重量％，尤其是10-35重量％。 For example the ratio of polyethylene terephthalate in the mixture based on 100 wt% A) is preferably at most 50% by weight, in particular 10-35 wt%. 1)已知称为工业后回收材料的那些：这些是在缩聚或加工过程中的生产废料，例如来自注塑的浇口废料，来自注塑或挤出的启动废料，或来自挤出片材或膜的边角料。  1) those known under the post-industrial recycled materials: These are polycondensation in the production or processing of waste, for example waste from a sprue of the injection molding, injection molding or extrusion starting from the waste material, or from extruded sheet scrap material or film. 2)消费后回收材料：这些是在最终消费者使用后收集和处理的塑料物品。 After  2) consumer recycled materials: These are collected and treated after the final consumer plastic articles. 矿泉水、软饮料和果汁的吹塑PET瓶子是在数量上容易占主导的物品。 Blow molding PET bottles of mineral water, soft drinks and juices are easily dominated in number of items. 两种类型的回收材料都可以作为磨碎材料或者以丸粒的形式使用。  Both types of materials can be recovered as pulverized material or in the form of pellets. 在后一种情况下，分离并提纯粗回收材料，然后使用挤出机将其熔融并造粒。 In the latter case, the separation and purification of the crude material recovered, which was then melted using an extruder and pelletized. 这通常便于处理和自由流动，以及便于在加工的其它步骤中计量加入。 This generally facilitates handling and free flowing, and metered to facilitate processing of the other steps. 因为聚酯在加工过程中（由于痕量的水分)经历水解裂解，所以将回收的材料预干燥是有利的。  Since the polyester during processing (due to traces of moisture) is subjected to hydrolytic cleavage, the pre-drying the recovered material is advantageous. 干燥后的残余含湿量优选< 0. 2%，特别是< 0. 05%。 After drying the residual moisture content is preferably <0.2%, in particular <0.05%. 另一类可以提到的聚酯是衍生于芳族二羧酸和芳族二羟基化合物的全芳族聚酯。  Another type of polyester may be mentioned are derived from aromatic dicarboxylic acids and aromatic dihydroxy compound wholly aromatic polyester. 合适的芳族二羧酸是前面对聚对苯二甲酸亚烷基二醇酯提到的化合物。  Suitable aromatic dicarboxylic acids are compounds described above for polyethylene terephthalate polyalkylene glycol ester mentioned. 优选使用的混合物由5-100mol%间苯二甲酸和0-95mol%对苯二甲酸组成，尤其是由约50_80mol% 对苯二甲酸和20至约50%间苯二甲酸组成。 Preferably a mixture of from 5-100 mol% of isophthalic acid and terephthalic acid 0-95mol%, especially from approximately 50_80mol% terephthalic acid and about 20 to 50% of isophthalic acid. 其中Z为具有至多8个碳原子的亚烷基或亚环烷基，具有至多12个碳原子的亚芳基，羰基，磺酰基，氧或硫，或化学键，以及m为0-2。  wherein Z having up to 8 carbon atoms, alkylene or cycloalkylene group having up to 12 carbon atoms, an arylene group, a carbonyl group, a sulfonyl group, an oxygen or a sulfur, or a bond, and m is 0- 2. 化合物的亚苯基还可以被C1-C6烷基或烷氧基和氟、氯或溴取代。 Phenylene compound may also be substituted with C1-C6 alkyl or alkoxy, and fluoro, chloro or bromo. 这些化合物的母体化合物的实例是二羟基联苯、二（羟基苯基）链烷烃、二（羟基苯基）环烷烃、二（羟基苯基）硫醚、二（羟基苯基）醚、二（羟基苯基）酮、二（羟基苯基）亚砜、α，α '-二（羟基苯基）二烷基苯、二（羟基苯基）砜、二（羟基苯甲酰基）苯、 间苯二酚和氢醌，以及它们的环上烷基化和环上卤代的衍生物。  Examples of parent compounds of these compounds are dihydroxydiphenyl, bis (hydroxyphenyl) alkanes, bis (hydroxyphenyl) cycloalkanes, bis (hydroxyphenyl) sulfide, bis (hydroxyphenyl) ether , bis (hydroxyphenyl) ketone, bis (hydroxyphenyl) sulfoxides, α, α '- bis (hydroxyphenyl) two benzene, bis (hydroxyphenyl) sulfone, bis (hydroxymethyl) benzene , resorcinol and hydroquinone, and their alkylated on the ring and on the ring halogenated derivatives thereof. 当然还可以使用聚对苯二甲酸亚烷基二醇酯和全芳族聚酯的混合物。  Of course, also possible to use a mixture of polyalkylene glycol ester of terephthalic acid and wholly aromatic polyester is polyethylene. 它们通常包含20-98重量％聚对苯二甲酸亚烷基二醇酯和2-80重量％全芳族聚酯。 They typically contain 20-98% by weight of polyethylene terephthalate polyalkylene glycol ester and 2-80% by weight of wholly aromatic polyesters. 当然还可以使用聚酯嵌段共聚物，如共聚醚酯。  Of course, also possible to use polyester block copolymers, such as copolyetheresters. 这类产物本身是已知的且描述于文献中，例如描述于US-A 3 651 014中。 Such products are known per se and described in the literature, for example described in US-A 3 651 014 in. 相应的产物还可以市购，例如Hytrel® (DuPont)。 The corresponding products can also be commercially available, such as Hytrel® (DuPont). 其中Q为单键，C1-C8亚烷基，C2-C3烷叉基，C3-C6环烷叉基，C6-C12亚芳基， 或-0-，-S-或-SO2-,以及m为0-2的整数。  wherein Q is a single bond, C1-C8 alkylene, C2-C3 alkylidene group, C3-C6 cycloalkylidene, C6-C12 arylene group, or -0 -, - S-, or -SO2- , and m is an integer of 0-2. 该双酚的亚苯基还可以具有取代基，如C1-C6烷基或C1-C6烷氧基。  The bisphenol-phenylene group may further have a substituent, such as C1-C6 alkyl or C1-C6 alkoxy. 上式的优选双酚实例是氢醌，间苯二酚，4，4' - 二羟基联苯，2，2_ 二（4_羟基苯基）丙烷，2，4_ 二（4-羟基苯基）-2-甲基丁烷和1，1_ 二（4-羟基苯基）环己烷。  Examples of bisphenols of the above formula is preferably hydroquinone, resorcinol, 4,4 '- dihydroxybiphenyl, 2,2_ di (4_ hydroxyphenyl) propane, 2,4_ bis (4-hydroxy phenyl) -2-methylbutane and 1,1_ bis (4-hydroxyphenyl) cyclohexane. 特别优选2，2_ 二（4-羟基苯基）丙烷和1，1_ 二（4-羟基苯基）环己烷，还有1，1_ 二（4-羟基苯基）-3，3，5_三甲基环己烷。 Particularly preferred 2,2_ bis (4-hydroxyphenyl) propane and 1,1_ bis (4-hydroxyphenyl) cyclohexane, and 1,1_ bis (4-hydroxyphenyl) -3,3,5_ trimethylcyclohexane. 均聚碳酸酯或共聚碳酸酯都适合作为组分A，且优选双酚A的共聚碳酸酯，以及优选双酚A的均聚物。  homopolycarbonates or copolycarbonates are suitable as component A, and preferably copolycarbonates of bisphenol A, and bisphenol A is preferably a homopolymer. 合适的聚碳酸酯可以以已知方式支化，具体而言优选通过引入基于使用的双酚的总量为0. 05-2. Omol %的至少三官能化合物，例如具有三个或更多个酚类OH基团的那些化合物而支化。  Suitable polycarbonates may be branched in a known manner, particularly preferably by introducing at least trifunctional compound based on the total amount of bisphenols used is 0. 05-2. Omol%, for example with three or those compounds more phenolic OH groups and branched. 已经证实特别合适的聚碳酸酯具有1. 10-1. 50，尤其是1.25-1. 40的相对粘度η相对。  has proven to be particularly suitable polycarbonate having 1. 10-1. 50, in particular relative viscosity 1.25-1. 40 relative to η. 这对应于10 000-200 000g/mol，优选20 000-80 000g/mol的平均摩尔质量^ (重均）。 This corresponds to 10 000-200 000g / mol, preferably 20 000-80 000g / mol average molar mass of ^ (weight average). 该通式的双酚是本身已知的或者可以通过已知方法制备。  bisphenols of the general formula are known per se or can be prepared by known methods. 合适链终止剂的实例是苯酚，对叔丁基苯酚，或者如DE-A 28 42 005中的长链烷基苯酚如4-(1，3_四甲基丁基）苯酚，或者如DE-A-35 06 472中的在烷基取代基中共计具有8-20个碳原子的单烷基苯酚或二烷基苯酚，例如对壬基苯酚、3，5- 二叔丁基苯酚、对叔辛基苯酚、对十二烷基苯酚、2-(3，5_ 二甲基庚基）苯酚和4-(3，5-二甲基庚基）苯酚。  Examples of suitable chain terminators are phenol, p-tert-butylphenol, or long-chain alkyl phenols such as DE-A 28 42 005, such as the 4- (1,3_-tetramethylbutyl) phenol, or the DE-a-35 06 472 in the alkyl substituents having in total monoalkylphenols 8-20 carbon atoms or a dialkyl phenols, such as p-nonylphenol, 3,5-di-t-butylphenol , p-tert-octylphenol, dodecylphenol, 2- (3,5_-dimethylheptyl) phenol and 4- (3,5-dimethylheptyl) phenol. 对于本发明而言，不含卤素的聚碳酸酯是由不含卤素的双酚，不含卤素的链终止剂和如果使用还有不含卤素的支化剂组成的聚碳酸酯，其中在PPm水平的少量可水解氯(例如用光气在界面工艺中制备聚碳酸酯而产生）对于本发明而言不认为是含卤素的。  For the purposes of the present invention, the halogen-free polycarbonates are bisphenol halogen-free, halogen-free chain terminators and, if there is used a halogen-free branching agents consisting of polycarbonate, wherein PPm small amount of hydrolyzable chlorine level (e.g., the interface process with phosgene in the preparation of the polycarbonates produced) is not considered for the present invention is a halogen-containing. 具有在ppm水平的可水解氯含量的这类聚碳酸酯对于本发明而言是不含卤素的聚碳酸酯。 Ppm level having such hydrolyzable chlorine content polycarbonates for the present invention are halogen-free polycarbonates. 可以提到的其它合适组分A)是无定形的聚酯碳酸酯，其中在制备工艺过程中光气由芳族二羧酸单元如间苯二甲酸和/或对苯二甲酸单元替代。  Other suitable components which may be mentioned A) is an amorphous polyester carbonate, wherein the preparation process gas through Cheng Zhongguang units from aromatic dicarboxylic acids such as isophthalic acid and / or terephthalic acid units instead. 对此可以参考EP-A 711 810以得到其它细节。 In this regard reference may EP-A 711 810 to give other details. EP-A 365 916描述了具有环烷基作为单体单元的其它合适共聚碳酸酯。  EP-A 365 916 describes other suitable copolycarbonates having a cycloalkyl group as a monomer unit. 还可以用双酚TMC替代双酚A。  can also replace bisphenol bisphenol TMC A. 这类聚碳酸酯可以由Bayer以商标APEC HT®得到。 Such polycarbonates can be obtained from Bayer under the trademark APEC HT®. 本发明的模塑组合物包含0. 01-50重量％，优选0. 5-20重量％，特别是0. 7-10重量％的Bi)至少一种OH数为l-600mg KOH/g聚碳酸酯，优选10_550mg KOH/g聚碳酸酯，尤其是50-550mg KOH/g聚碳酸酯（根据DIN53M0，第2部分）的高度支化或超支化聚碳酸酯，或B2)至少一种超支化聚酯或它们的混合物作为组分B)，这些组分在下面解释。  The molding compositions according to the present invention comprises 0. 01-50 wt%, preferably 0. 5-20% by weight, especially 0. 7-10% by weight of Bi) at least one OH number of l-600mg KOH / g of polycarbonate, preferably 10_550mg KOH / g of polycarbonate, in particular 50-550mg KOH / g of polycarbonate (according DIN53M0, part 2) highly branched or hyperbranched polycarbonate, or B2) at least one species hyperbranched polyester or a mixture thereof as component B), which components explained below. 对于本发明而言，超支化聚碳酸酯Bi)是具有羟基和碳酸酯基团的非交联大分子，这些大分子具有结构和分子上的不均一性。  For the present invention, hyperbranched polycarbonate Bi) are non-crosslinked macromolecules having hydroxyl and carbonate groups, these macromolecules having non-uniformity on the molecular structure. 它们的结构可以以与树枝状聚合物相同的方式首先基于中心分子，但是具有不均一的支链链长。 Their structure may be the same manner as the first dendrimers based on a central molecule, but having a branched chain non-uniform length. 其次，它们还可以具有带官能侧基的线性结构，或者它们结合了这两种极端情况，具有线性和支化的分子部分。 Secondly, they may also have a linear structure with functional pendant groups, or they combine the two extremes, and having a linear molecular moiety branched. 对于树枝状聚合物和超支化聚合物的定义还可以参见p. J. Flory, J. Am. Chem. Soc. 1952，74，2718，和H. Frey 等人，Chem. Eur. J. 2000，6，第14 期，2499。 For the definition of dendrimers and hyperbranched polymers may also refer to p. J. Flory, J. Am. Chem. Soc. 1952,74,2718, and H. Frey et al., Chem. Eur. J. 2000, 6, No. 14, 2499. 在本发明的上下文中“超支化”表示支化度（DB)，即每分子中树枝状连接的平均数加上端基的平均数为10-99. 9%，优选20-99%，特别优选20-95%。  In the context of the present invention, "hyperbranched" indicates the degree of branching (DB), i.e., the average number of dendritic linkages per molecule, plus the average number of end groups 10-99. 9%, preferably 20-99% , particularly preferably 20-95%. 在本发明的上下文中“树枝状聚合物”表示支化度为99. 9-100%。  In the context of the present invention, "dendritic polymer" refers to the degree of branching 99. 9-100%. 对于“支化度” 的定义参见H. Frey 等人，Acta Polym. 1997，48，30。 For the "degree of branching" is defined See H. Frey et al., Acta Polym. 1997,48,30. 组分 Bi)优选具有100-15 000g/mol，优选200-12 000g/mol，特别是500-10 000g/mol (GPC, PMMA标准)的数均摩尔质量Mn。  Component Bi) preferably having 100-15 000g / mol, preferably 200-12 000g / mol, in particular number 500-10 000g / mol (GPC, PMMA standard) average molar mass Mn. 玻璃化转变温度Tg特别为_80°C至+140°C，优选为_60°C至120°C (根据DSC，DIN 53765)。  The glass transition temperature Tg particular _80 ° C to + 140 ° C, preferably from _60 ° C to 120 ° C (according to DSC, DIN 53765). 特别是，根据DIN 53019在23 °C下的粘度为50-200 OOOmPas，特别是100-150 OOOmPas，非常特别优选200-100 OOOmPas。  In particular, according to DIN 53019 at 23 ° C for a viscosity of 50-200 OOOmPas, especially 100-150 OOOmPas, very particularly preferably 200-100 OOOmPas. 其中选择反应混合物中OH基团与碳酸酯的定量比从而使缩合物⑷平均具有一个碳酸酯基团和一个以上的OH基团或者具有一个OH基团和一个以上的碳酸酯基团。  wherein selecting the OH groups and quantitative carbonate ratio of the reaction mixture so that the condensate ⑷ having an average of either one carbonate group and more than one OH group or one OH group and more than one carbonate group . 可以使用的原料包括光气、双光气或三光气，优选有机碳酸酯。  The feedstock can be used include phosgene, diphosgene or triphosgene, preferably organic carbonates. 用作原料且具有通式RO(CO)nOR的有机碳酸酯㈧的基团R各自相互独立地是具有1-20个碳原子的直链或支化的脂族、芳族/脂族或芳族烃基。  used as starting material and having the general formula RO (CO) nOR radicals R of the organic carbonates (viii) are each, independently having 1 to 20 carbon atoms, a straight-chain or branched aliphatic, aromatic / aliphatic aliphatic or aromatic hydrocarbon group. 两个基团R还可以相互结合以形成环。 Two R radicals may also be bonded to each other to form a ring. 该基团优选是脂族烃基，且特别优选具有1-5个碳原子的直链或支化烷基，或者是取代或未取代的苯基。 The group is preferably an aliphatic hydrocarbon group, and particularly preferably a straight-chain or branched alkyl group of 1-5 carbon atoms, or a substituted or unsubstituted phenyl. 特别是使用具有式RO(CO)nOR的简单碳酸酯；η优选是1_3，特别是1。  particularly simple carbonate having the formula RO (CO) nOR of; preferably [eta] 1_3, especially 1. 例如可以由脂族、芳脂族或芳族醇，优选一元醇，与光气反应而制备碳酸二烷基酯或碳酸二芳基酯。  can be prepared, for example, a dialkyl carbonate or a diaryl carbonate from aliphatic alcohols, aromatic aliphatic or aromatic, preferably monoalcohols, with phosgene. 它们还可以通过借助CO在贵金属、氧气或NOx存在下使醇或酚氧化羰基化而制备。 They may also be prepared by reacting an alcohol or a phenol under the oxidative carbonylation of a noble metal, the presence of oxygen or NOx by CO. 对于碳酸二芳基酯或碳酸二烷基酯的制备方法，还可以参见“Ullmarm' s Encyclopedia of IndustrialChemistry”，第6 版，2000 电子版，Verlag Wiley-VCH。 For the preparation of diaryl carbonate or dialkyl carbonate, see also "Ullmarm 's Encyclopedia of IndustrialChemistry", 6th Edition, 2000 Electronic Release, Verlag Wiley-VCH. 合适碳酸酯的实例包括脂族、芳族/脂族或芳族碳酸酯，例如碳酸亚乙酯、碳酸1， 2-或1，3_亚丙酯、碳酸二苯酯、碳酸二（甲苯）酯、碳酸二（二甲苯）酯、碳酸二萘酯、碳酸乙基苯基酯、碳酸二苄酯、碳酸二甲酯、碳酸二乙酯、碳酸二丙酯、碳酸二丁酯、碳酸二异丁酯、碳酸二戊酯、碳酸二己酯、碳酸二环己酯、碳酸二庚酯、碳酸二辛酯、碳酸二癸酯或碳酸二（十二烷基）酯。  Examples of suitable carbonate esters include aliphatic, aromatic / aliphatic or aromatic carbonates, such as ethylene carbonate, 1, 2- or 1,3_ propylene carbonate, diphenyl carbonate, di (toluene) carbonate, bis (xylene) carbonate, dinaphthyl carbonate, ethyl phenyl carbonate, dibenzyl carbonate, dimethyl carbonate, diethyl carbonate, dibutyl carbonate, dipropyl carbonate, diisobutyl carbonate, dipentyl carbonate, dihexyl carbonate, dicyclohexyl carbonate, diheptyl carbonate, dioctyl carbonate, didecyl carbonate, or di (dodecyl). 其中η大于1的碳酸酯实例包括二碳酸二烷基酯如二碳酸二叔丁酯，或三碳酸二烷基酯如三碳酸二叔丁酯。 Carbonate  wherein η is greater than 1 include alkyl esters such as di-tert-butyl dicarbonate, di or tri-alkyl esters such as di-tert-butyl tricarbonate. 优选使用脂族碳酸酯，特别是其中的基团含有1-5个碳原子的那些，例如碳酸二甲酯、碳酸二乙酯、碳酸二丙酯、碳酸二丁酯或碳酸二异丁酯。  The aliphatic carbonates preferably used, in particular those containing a group of 1-5 carbon atoms, such as dimethyl carbonate, diethyl carbonate, dipropyl carbonate, dibutyl carbonate or diisobutyl carbonate butyl. 使有机碳酸酯与具有至少3个OH基团的至少一种脂族醇（B)反应，或者与两种或更多种不同醇的混合物反应。  The organic carbonate having at least 3 OH groups, at least one aliphatic alcohol (B) the reaction mixture with more or two or more different alcohols. 具有至少3个OH基团的化合物实例包括甘油、三羟甲基甲烷、三羟甲基乙烷、三羟甲基丙烷、1，2，4_ 丁三醇、三（羟甲基）胺、三（羟乙基）胺、三（羟丙基）胺、季戊四醇、二甘油、三甘油、聚甘油、二（三羟甲基丙烷）三（羟甲基）异氰脲酸酯、三（羟乙基）异氰脲酸酯、间苯三酚、三羟基甲苯、三羟基二甲基苯、phlorogulcides、六羟基苯、1，3，5-苯-三甲醇、1，1，1-三（4，-羟基苯基）甲烷、1，1，1_三（4，-羟基苯基）乙烷、二（三羟甲基丙烷）或糖类如葡萄糖，基于三官能或更高官能度的醇和氧化乙烯、氧化丙烯或氧化丁烯的三官能或更高官能度的聚醚醇，或者聚酯醇。  Examples of compounds having at least 3 OH groups include glycerol, trimethylol methane, trimethylol ethane, trimethylol propane, 1,2,4_ butanetriol, tris (hydroxymethyl) amine, tris (hydroxyethyl) amine, tris (hydroxypropyl) amine, pentaerythritol, diglycerol, triglycerol, polyglycerol, di (trimethylolpropane) tris (hydroxymethyl) isocyanurate, tris (hydroxyethyl) isocyanurate, phloroglucinol, tris hydroxy toluene, dimethylbenzene trihydroxy, phlorogulcides, six-hydroxyphenyl, benzyl 1,3,5 - trimethylolpropane, 1,1,1- tris (4 - hydroxyphenyl) methane, 1,1,1_ tris (4 - hydroxyphenyl) ethane, bis (trimethylolpropane) or sugars such as glucose, based on trifunctional or higher-functional of alcohol ethylene oxide, propylene oxide, butylene oxide or trifunctional or higher-functionality polyetherols or polyesterols. 这里特别优选甘油、三羟甲基乙烷、三羟甲基丙烷、1，2，4_ 丁三醇、季戊四醇，以及它们基于氧化乙烯或氧化丙烯的聚醚醇。 Here particularly preferably glycerol, trimethylolethane, trimethylolpropane, 1,2,4_ butanetriol, pentaerythritol, and their polyetherols based on ethylene oxide or propylene oxide. 这些多元醇还可以以与二元醇（B' )的混合物使用，条件是使用的所有醇的平均总OH官能度大于2。  These polyols may also be a mixture with dihydric alcohols (B ') is used, with the proviso that the average total OH functionality of all alcohols used is greater than 2. 具有2个OH基团的合适化合物实例包括乙二醇，二甘醇，三甘醇，1， 2-和1，3-丙二醇，一缩二丙二醇，二缩三丙二醇，新戊二醇，1，2_、1，3-和1，4_ 丁二醇，1， 2-、1，3_和1，5_戊二醇，己二醇，环戊二醇，环己二醇，环己烷二甲醇，二（4-羟基环己基） 甲烷，二（4-羟基环己基）乙烷，2，2_ 二（4-羟基环己基）丙烷，1，1'_ 二（4-羟基苯基）-3， 3，5-三甲基环己烷，间苯二酚，氢醌，4，4' - 二羟基苯基，二（4-二（羟基苯基））硫醚，二(4-羟基苯基）砜，二（羟甲基）苯，二（羟甲基）甲苯，二（对羟基苯基）甲烧，二（对羟基苯基）乙烷，2，2_ 二（对羟基苯基）丙烷，1，1-二（对羟基苯基）环己烷，二羟基二苯甲酮，基于氧化乙烯、氧化丙烯、氧化丁烯或其混合物的二元聚醚醇，聚四氢呋喃、聚己内酯或基于二醇和二羧酸的聚酯醇。 Examples of suitable compounds having two OH groups comprise ethylene glycol, diethylene glycol, triethylene glycol, 1, 2- and 1,3-propylene glycol, dipropylene glycol, tripropylene glycol, neopentyl glycol, 1 , 2_, 1,4_ and 1,3-butylene glycol, 1, 2, and 1,5_ 1,3_ pentanediol, hexanediol, cyclopentane diol, cyclohexane diol, cyclohexane dimethanol, bis (4-hydroxycyclohexyl) methane, bis (4-hydroxycyclohexyl) ethane, 2,2_-bis (4-hydroxycyclohexyl) propane, 1,1'_ bis (4-hydroxyphenyl) -3, 3,5-trimethyl cyclohexane, resorcinol, hydroquinone, 4,4 '- dihydroxyphenyl, bis (4-di (hydroxyphenyl)) sulfide, bis (4- hydroxyphenyl) sulfone, bis (hydroxymethyl) benzene, bis (hydroxymethyl) toluene, bis (p-hydroxyphenyl) for methane, bis (p-hydroxyphenyl) ethane, 2,2_ di (p-hydroxyphenyl yl) propane, 1,1-bis (p-hydroxyphenyl) cyclohexane, dihydroxy benzophenone, based on ethylene oxide, propylene oxide, butylene oxide or mixtures thereof dihydric polyether alcohols, polytetrahydrofuran, poly or caprolactone based polyester diols and dicarboxylic acids. 该二醇用于精细调节聚碳酸酯的性质。  The properties of the polycarbonate diol is used for fine adjustment. 如果使用二元醇，则二元醇B' )与至少三官能的醇（B)的比率由本领域普通技术人员根据所需的聚碳酸酯性质而设定。 If a dihydric alcohol, the dihydric alcohols B ') and at least trifunctional alcohol (B) ratio is set by one of ordinary skill in the art depending on the desired properties of the polycarbonate. 醇（B' )的量基于所有醇（B)和（B' )的总量通常为0-39. 9m0l%。 Alcohol (B ') based on the amount of all alcohols (B) and (B') the total amount of usually 0-39. 9m0l%. 该量优选为0-35mol %，特别优选0-25mol %，非常特别优选O-IOmol %。 The amount is preferably 0-35mol%, particularly preferably 0-25mol%, very particularly preferably O-IOmol%. 在光气、双光气或三光气与醇或醇混合物发生反应时通常消除氯化氢；在碳酸酯与醇或醇混合物发生反应产生本发明高官能的高度支化聚碳酸酯时通常从碳酸酯分子中消除一元醇或酚。  When phosgene, diphosgene or triphosgene with the alcohol or alcohol mixture is usually reacted elimination of hydrogen chloride; officials when generating highly branched polycarbonates of the present invention could react with carbonate in the alcohol or alcohol mixture typically from eliminating monohydric alcohol or phenol carbonate molecule. 在反应之后，即没有进一步改性，由本发明方法形成的高官能的高度支化聚碳酸酯由羟基和/或碳酸酯基团封端。  After the reaction, i.e. without further modification, officials formed by the method of the present invention can be highly branched polycarbonates with hydroxyl and / or carbonate groups terminated. 它们在各种溶剂如水，醇如甲醇、乙醇、丁醇，醇/水混合物，丙酮，2- 丁酮，乙酸乙酯，乙酸丁酯，乙酸甲氧基丙酯，乙酸甲氧基乙酯，四氢呋喃，二甲基甲酰胺，二甲基乙酰胺，N-甲基吡咯烷酮，碳酸亚乙酯或碳酸亚丙酯中具有良好的溶解性。 Thereof in various solvents such as water, alcohols such as methanol, ethanol, butanol, alcohol / water mixtures, acetone, 2-butanone, ethyl acetate, butyl acetate, methoxypropyl acetate, ethyl acetate, methoxypropyl, tetrahydrofuran, dimethylformamide, dimethylacetamide, N- methylpyrrolidone, ethylene carbonate or propylene carbonate has good solubility. 对于本发明而言，高官能的聚碳酸酯是除了形成聚合物骨架的碳酸酯基团以外， 另外还具有至少3个，优选至少6个，更优选至少10个端基或侧基官能团的产物。  For the purposes of the present invention, a highly functional polycarbonate is a carbonic acid ester group in addition to the polymer backbone is formed, in addition to having at least 3, preferably at least 6, more preferably at least 10 end groups or pendant groups the product functional group. 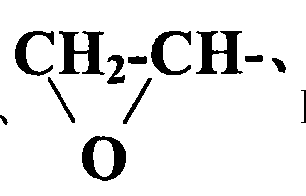 该官能团是碳酸酯基团和/或OH基团。 The functional group is a carbonate group and / or OH groups. 对于端基或侧基官能团的数量原则上没有上限，但是具有很高官能团数量的产物可能具有不希望的性质，例如高粘度或不良溶解性。 For the number principle no terminal or pendant functional groups of the upper limit, but the product has a very high number of functional groups can have undesired properties, such as high viscosity or poor solubility. 本发明高官能的聚碳酸酯大多数具有不超过500个端基或侧基官能团，优选不超过100个端基或侧基官能团。 The inventive highly functional polycarbonates having a majority of not more than 500 terminal or pendant functional groups, preferably not more than 100 terminal or pendant functional groups. 例如，如果在由碳酸酯和二元醇制备最简单的缩合物（K)的过程中反应比为1 ： 1，那么如通式1所示，平均结果是XY类型的分子。  For example, if the reaction ratio is 1 in the process from a carbonate and easiest condensates prepared diol (K) of: 1, then as shown in Formula 1, the average result is an XY type molecule. 在由碳酸酯和三元醇以1 ： 1的反应比制备缩合物⑷的过程中，如通式2所示， 平均结果是XY2类型的分子。  In a carbonate and a trihydric alcohol 1: Preparation process condensate ratio ⑷ reaction 1, as shown in Formula 2, the result is the average type XY2 molecule. 在此碳酸酯基团是焦点基团。 The carbonate group is focal group. 在由碳酸酯和四元醇同样以1 ： 1的反应比制备缩合物（K)的过程中，同样采用1 ： 1的反应比，如通式3所示，平均结果是XY3类型的分子。  In the same from a carbonate and a tetrahydric alcohol: 1 ratio prepared in the reaction process condensates (K), the same 1: 1 ratio of the reaction, as shown in Formula 3, the result is the average type XY3 molecules. 在此碳酸酯基团是焦点基团。 The carbonate group is focal group. 式1-3中的R具有开头所给的定义，且R1是脂族或芳族基团。  R in the formula 1-3 with the definition given at the beginning, and R1 is an aliphatic or aromatic group. 例如，缩合物（K)还可以如通式4所示由碳酸酯和三元醇制备，反应的摩尔比为2:1。 Molar ratio  For example, the condensate (K) can also be prepared as esters of formula carbonate and a trihydric alcohol, the reaction of 2 to 4: 1. 在此，平均结果是类型的分子，在此OH基团是焦点基团。 Here, the average result is a type of molecule, this OH group is a focal group. 在式4中，R和R1如式1-3中所定义。 In formula 4, R and R1 are as defined in formula 1-3. 扩展。 Extension. 平均结果再次是XA类型的分子，碳酸酯基团是焦点基团。 The average results are again XA type of molecule, the carbonate group is a focal group. 在式5中，R2是有机基团，优选脂族基团，且R和R1如上定义。  In Formula 5, R2 is an organic group, preferably an aliphatic group, and R and R1 are as defined above. 对于合成还可以使用两种或更多种缩合产物（K)。  For the synthesis may also be used two or more condensation products (K). 此时首先可以分别使用两种或更多种醇以及两种或更多种碳酸酯。 In this case first be used two or more kinds of two or more alcohols and carbonate, respectively. 此外，通过选择所用醇与碳酸酯或光气的比率，可以获得结构不同的缩合物的混合物。 Further, by selecting the ratio of an alcohol with a carbonate or phosgene is used, a mixture of different structures can be obtained condensate. 这例如可以借助碳酸酯与三元醇的反应作为例子进行说明。 This may be described as an example by reaction of a carbonate and a trihydric alcohol. 若如（II)中所示以1 ： 1的比例使用原料，则产物是Xt分子。 If as shown in (II) as a 1: 1 ratio using the raw material, the product molecule is Xt. 若如（IV)中所示以2 ： 1的比例使用原料，则产物是分子。 If as shown in (IV) as a 2: 1 ratio of raw materials used, the product is a molecule. 若比例为1 ： 1-2 ： 1，则产物是)^2和)(2¥分子的混合物。 If the ratio is 1: 1-2: 1, the product is)) (mixture of 2 and 2 ^ ¥ molecules. 根据本发明，在式1-5中举例描述的简单缩合物（K)优先发生分子间反应以形成高官能的缩聚物，以下称为缩聚物（P)。  According to the present invention, described in Examples 1-5 wherein the simple condensates (K) to form an intermolecular priority senior polycondensate can occur, hereinafter referred to as polycondensates (P). 产生缩合物（K)并且产生缩聚物（P)的反应通常在0-250°C，优选60-160°C的温度下在本体或溶液中进行。 The reaction to produce condensate (K) and generates a polycondensate (P) is generally carried out in bulk or in solution at a temperature of 0-250 ° C, preferably of 60-160 ° C. 在此通常可以使用对相应原料呈惰性的任何溶剂。 Herein may generally be any solvent inert to the respective starting material. 优选使用有机溶剂，例如癸烷、十二烷、苯、甲苯、氯苯、二甲苯、二甲基甲酰胺、二甲基乙酰胺或溶剂石脑油。 Preferably an organic solvent such as decane, dodecane, benzene, toluene, chlorobenzene, xylene, dimethylformamide, dimethylacetamide or solvent naphtha. 在一个优选的实施方案中，缩合反应在本体中进行。  In a preferred embodiment, the condensation reaction is carried out in bulk. 在反应过程中释放出来的酚或一元醇ROH可以通过蒸馏从反应平衡中除去以加速反应，如果合适在减压下进行蒸馏。 Liberated during the reaction of phenol or a monohydric alcohol ROH can be removed by distillation from the reaction equilibrium to accelerate the reaction, if appropriate distilled under reduced pressure. 如果打算通过蒸馏除去，那么使用在反应过程中释放沸点低于140°C的醇ROH的那些碳酸酯通常是有利的。  If the intention is removed by distillation, use is released during the reaction is lower than the boiling point of the alcohol ROH 140 ° C, those of the carbonate is generally advantageous. 还可以加入催化剂或催化剂混合物以加速反应。  The catalyst or catalyst may also be added to accelerate the reaction mixture. 合适的催化剂是催化酯化或酯交换反应的化合物，例如碱金属氢氧化物、碱金属碳酸盐、碱金属碳酸氢盐（优选钠或钾或者铯的化合物），叔胺，胍，铵化合物，鳞化合物，有机铝化合物，有机锡化合物，有机锌化合物， 有机钛化合物，有机锆化合物或有机铋化合物，或者已知的双金属氰化物（DMC)催化剂，例如如DE 10138216 或DE 10147712 中所述。 Suitable catalysts are compounds catalyze esterification or transesterification reactions, such as alkali metal hydroxides, alkali metal carbonates, alkali metal bicarbonate (preferably sodium or potassium, or cesium compound), tertiary amines, guanidines, ammonium compounds , scales compound, an organic aluminum compound, an organic tin compound, an organic zinc compound, an organic titanium compound, an organic zirconium compound or an organic bismuth compound, or a known double metal cyanide (DMC) catalysts, as for example in DE 10138216 or DE 10147712 as above. 还可以通过加入合适的催化剂或者通过选择合适的温度而控制分子间缩聚反应。  can also be controlled by selecting suitable temperature by adding a suitable catalyst or intermolecular polycondensation reaction. 聚合物（P)的平均分子量另外还可以通过原料组分的组成以及通过停留时间而调节。 Polymer (P) of the average molecular weight may also be adjusted by the residence time, and by the composition of the raw material components. 在升高的温度下制备的缩合物（K)和缩聚物（P)在室温下在较长时间内通常是稳定的。  condensates (K) is prepared at elevated temperature and polycondensates (P) at room temperature are usually stable over an extended period. 缩合物（K)的性质使缩合反应产生具有不同结构的缩聚物（P)，即具有支化但没有交联的那些。 Properties  condensates (K), the condensation reaction polycondensates (P) having different structures, i.e. those having a branched but not cross-linked. 此外，在理想情况下缩聚物（P)具有一个作为焦点基团的碳酸酯基团和2 个以上的OH基团，或者具有一个作为焦点基团的OH基团和2个以上的碳酸酯基团。 Further, the polycondensates (P) in the ideal case having one as a carbonate group as focal group and more than two OH groups, or having a OH group as the focal group and more than two carbonate groups group. 在此反应性基团的数量是所用缩合物（K)的性质和缩聚程度的结果。 Here the number of reactive groups are the result of the nature and degree of polycondensation of the condensates (K) used. 例如，通式2的缩合物（K)可以如通式6和7所示发生J 重分子间缩合反应以产生两种不同的缩聚物（P)。  For example, condensation products of formula (K) 2 may be as shown in Formula 6 and 7 between the J heavy molecules occurs condensation reaction to give two different polycondensates (P). 在式6和7中，R和R1如上定义。  In the formula 6 and 7, R and R1 are as defined above. 有各种终止分子间缩聚反应的方法。  There are various methods among terminating the intermolecular polycondensation reaction. 例如，可以将温度降低到反应停止且产物（K) 或缩聚物（P)储存稳定的范围。 For example, the temperature may be lowered to stop the reaction and the product (K) or the polycondensate (P) is storage-stable. 还可以通过例如在碱性催化剂的情况下加入路易斯酸或质子酸使催化剂失活。  It is also possible, for example, by addition of a Lewis acid catalyst or proton acid in the case of a basic catalyst deactivation. 在另一个实施方案中，一旦缩合物（K)的分子间反应产生了具有所需缩聚程度的缩聚物（P)，可以将具有对（P)的焦点基团呈反应性的基团的产物加入产物（P)中以终止反应。  In another embodiment embodiment, once the intermolecular condensates (K), a reaction with the desired degree of polycondensation of the polycondensate (P), may be a group having a group of focus (P), which are reactive the product group is added to the product (P) to terminate the reaction. 例如，在碳酸酯基团作为焦点基团的情况下，例如可以加入一元胺、二元胺或多元胺。 For example, in a case where carbonate group as the focal group, for example, may be added to a monoamine, diamine or polyamine. 在羟基作为焦点基团的情况下，例如可以将单异氰酸酯、二异氰酸酯或多异氰酸酯，或含有环氧基团的化合物，或与OH基团反应的酸衍生物加入产物（P)中。 The hydroxyl as the focal group, for example, may be monoisocyanates, diisocyanates or polyisocyanates, or a compound containing an epoxy group, or an acid derivative reactive with OH groups added to the product (P) in. 本发明高官能的聚碳酸酯大多数在分批、半连续或连续操作的反应器或反应器级联中在0. 1毫巴至20巴，优选1毫巴至5巴的压力范围内制备。  The inventive highly functional polycarbonates most in batch, semi-continuous or reactors or cascade reactors continuously operated in a pressure 0.1 mbar to 20 bar, preferably 1 mbar to 5 bar preparation of the range. 本发明的产物在通过如上调节反应条件以及如果合适通过选择合适的溶剂而制备以后可以进行进一步的处理而没有另外的提纯步骤。  The product of the present invention as described above by adjusting the reaction conditions and, if appropriate after further treatment can be prepared by selecting a suitable solvent without additional purification steps. 在另一优选的实施方案中，将产物汽提，即除去低分子量的挥发性化合物。  In another preferred embodiment, the product is stripped, i.e. low molecular weight volatile compounds are removed. 为此，在达到所需的转化率以后，可以任选使催化剂失活并且可以通过蒸馏除去低分子量的挥发性组分如一元醇、酚、碳酸酯、氯化氢或高挥发性低聚物或环状化合物，如果合适引入气体， 优选氮气、二氧化碳或空气，并且如果合适在减压下进行。 For this reason, after the desired conversion, the catalyst deactivated may optionally be removed by distillation and the volatile low molecular weight components such as a monohydric alcohol, a phenol, a carbonate, hydrogen chloride or highly volatile oligomeric or cyclic compound, if appropriate introducing gas, preferably nitrogen, carbon dioxide or air, and if appropriate under reduced pressure. 在另一个优选的实施方案中，除了在这个阶段由于反应而存在的官能团以外，本发明的聚碳酸酯还可以含有其它的官能团。  In another preferred embodiment, in addition to the functional groups at this stage due to the presence of the reaction, the polycarbonate of the present invention may also contain other functional groups. 该官能化可以在升高分子量的工艺过程中或随后（即在完成实际的缩聚以后）进行。 The functionalization process can be increased in molecular weight or subsequently (i.e., after completion of the actual polycondensation) performed. 如果在升高分子量的工艺之前或过程中加入具有除羟基或碳酸酯基团以外的其它官能团或官能元素的组分，那么结果是产生了具有除碳酸酯或羟基以外的无规分布官能团的聚碳酸酯聚合物。  If at elevated process before or during the addition of the molecular weight of the component having other functional groups or functional elements in addition to hydroxyl or carbonate groups, then the result is a random distribution or a carbonate having other than a hydroxyl group the polycarbonate polymer having functional group. 这类效果例如可以通过在缩聚过程中加入带有除羟基、碳酸酯基团或氨基甲酰基以外的其它官能团或官能元素如巯基，伯、仲或叔氨基，醚基团，羧酸的衍生物，磺酸的衍生物，膦酸的衍生物，硅烷基团，硅氧烷基团，芳基，或长链烷基的化合物而实现。  Such effects may be, for example, by addition with other functional groups or functional elements in addition to hydroxyl groups, carbonate groups or carbamoyl groups such as mercapto polycondensation process, primary, secondary or tertiary amino groups, ether groups, carboxylic acid derivatives, sulfonic acid derivatives, derivatives of phosphonic acids, silane groups, siloxane groups, aryl group, or a long-chain alkyl compound is achieved. 可以借助氨基甲酸酯基团用于改性的化合物实例是乙醇胺、丙醇胺、异丙醇胺、2_( 丁基氨基）乙醇、 2_(环己基氨基）乙醇、2-氨基-1-丁醇、2-(2'_氨基乙氧基）乙醇，或者氨、4-羟基哌啶、 1-羟乙基哌嗪、二乙醇胺、二丙醇胺、二异丙醇胺、三（羟甲基）氨基甲烷、三（羟乙基）氨基甲烷、乙二胺、丙二胺、六亚甲基二胺或异佛尔酮二胺的高级烷氧基化产物。 Examples of compounds can be used for modification by means of carbamate groups are ethanolamine, propanolamine, isopropanolamine, 2_ (butylamino) ethanol, 2_ (cyclohexylamino) ethanol, 2-amino-1- alcohol, 2- (2'_ aminoethoxy) ethanol, or ammonia, 4-hydroxypiperidine, 1-hydroxyethylpiperazine, diethanolamine, dipropanolamine, diisopropanolamine, tris (hydroxymethyl ) aminomethane, tris (hydroxyethyl) aminomethane, ethylenediamine, propylenediamine, hexamethylenediamine or isophoronediamine higher alkoxylation products of one diamine. 可以借助巯基用于改性的化合物实例是巯基乙醇。  Examples of compounds used can be modified by a mercapto group is mercaptoethanol. 例如，可以通过掺入N-甲基二乙醇胺、N-甲基二丙醇胺或N，N-二甲基乙醇胺而产生叔氨基。 For example, tertiary amino group may be produced by incorporation of N- methyldiethanolamine, N- dimethyl propanolamine or N, N- dimethylethanolamine. 例如，可以通过二元或更高级的多元聚醚醇的共缩合而产生醚基团。 For example, an ether group can be produced by co-condensation of di- or higher polyhydric polyether alcohols. 可以通过与长链链烷二醇反应而引入长链烷基， 并且通过与二异氰酸烷基酯或芳基酯反应而产生具有烷基、芳基和氨基甲酸酯基团或脲基团的聚碳酸酯。 Long chain alkyl group can be introduced by reaction with long-chain alkanediols, and having a diisocyanate to produce an alkyl ester or alkyl aryl ester by reacting, aryl and urethane groups or urea groups polycarbonate group. 通过加入二羧酸或三羧酸，或例如对苯二甲酸二甲酯，或三羧酸酯，可以产生酯基团。  By addition of dicarboxylic or tricarboxylic acids, such as terephthalic acid or dimethyl, or tri-carboxylic acid ester, the ester group can be produced. 随后的官能化可以通过使用另外的工艺步骤（步骤C)而实现，即，使所得高官能的高度支化聚碳酸酯或高官能的超支化聚碳酸酯与可以与聚碳酸酯的OH和/或碳酸酯基团或氨基甲酰基反应的合适官能化试剂反应。  Subsequent functionalization can be achieved by using an additional process step (Step C), i.e., the resultant highly functional, highly branched or highly functional polycarbonate can hyperbranched polycarbonate with polycarbonate may be OH and / or a suitable functionalizing reagent carbonate groups or carbamoyl reaction. 例如，含有羟基的高官能的高度支化聚碳酸酯或高官能的超支化聚碳酸酯可以通过加入含有酸基团或含有异氰酸酯基团的分子而改性。  For example, highly branched polycarbonates containing hydroxyl groups or high-energy officials can hyperbranched polycarbonates may contain acid groups or molecules containing isocyanate groups is modified by addition of. 例如，含有酸基团的聚碳酸酯可以通过与含有酸酐基团的化合物反应而得到。 For example, polycarbonates comprising acid groups can be obtained by a reaction with a compound containing an acid anhydride group. 此外，还可以通过与烯化氧如氧化乙烯、氧化丙烯或氧化丁烯反应而将含有羟基的高官能聚碳酸酯转化为高官能的聚碳酸酯聚醚多元醇。  Further, officials may contain a hydroxyl group can be converted to polycarbonate polycarbonate official energy polyether polyol with an alkylene oxide, such as by ethylene oxide, propylene oxide or butylene oxide. 该方法的重要优点为其成本有效性。 An important advantage of  the method for its cost effectiveness. 可以在一个反应器中进行产生缩合物（K)或缩聚物（P)的反应以及（K)或（P)的产生具有其它官能团或元素的聚碳酸酯的反应，这在技术上和成本有效性方面是有利的。 The reaction can be carried out to produce a condensate (K) in a reactor or polycondensate (P) and (K) or produced (P) having reactive functional groups other polycarbonates or elements, which is technically and cost-effective terms are favorable. y为至少2. 1，优选至少2. 5，尤其是至少3。  y is at least 2.1, preferably at least 2.5, in particular at least 3. 当然，也可利用混合物作为单元A和/或B。  Of course, mixtures can be used as units A and / or B.  AxBy型聚酯为由χ-官能分子A和y-官能分子B组成的缩合物。  AxBy type polyester condensates χ- by functional molecules A and B y- functional molecules thereof. 例如，可提到由己二酸作为分子A(x = 2)和甘油作为分子B(y = 3)组成的聚酯。 For example, mention may be made (x = 2) and glycerol as the polyester molecule B (y = 3) consisting of adipic acid as molecule A. 对本发明而言，超支化聚酯B2)为具有羟基和羧基的未交联大分子，它们既具有结构不均一性也具有分子不均一性。  For the present invention, hyperbranched polyesters B2) is a non-crosslinked macromolecules having a hydroxyl group and a carboxyl group, they both have a non-uniform structure of the molecule also having a non-uniformity. 首先，它们的结构可以以与树枝状聚合物相同的方式基于中心分子，但分支链长不均一。 Firstly, their structure may dendrimers based on a central molecule in the same manner, but branched non-uniform length. 其次，它们还可以具有带有官能侧基的线性结构，或它们可将这两种极端组合，具有线性和支化分子部分。 Secondly, they may also have a linear structure with functional pendant groups, or a combination thereof may be these two extremes, having linear and branched molecular moiety. 参见PJ Flory,J. Am. Chem. Soc. 1952， 74，2718和H. Frey等人，Chem. Eur. J. 2000，6，第14期，2499对树枝状和超支化聚合物的定义。 See, PJ Flory, J. Am. Chem. Soc. 1952, 74,2718 and H. Frey et al., Chem. Eur. J. 2000,6, No. 14, 2499, and the definition of dendrimeric hyperbranched polymers. 在本发明的上下文中，“超支化”指支化度（DB)，即每分子中树枝状连接的平均数加上端基的平均数为10-99. 9%，优选20-99%，特别优选20-95%。  In the context of the present invention, "hyperbranched" refers to the average degree of branching (DB), i.e., the average number of dendritic linkages per molecule plus end group 10-99. 9%, preferably 20-99 %, particularly preferably 20-95%. [0141 ] 在本发明的上下文中，“树枝状聚合物”指支化度为99. 9-100 %。  In the context of the present invention, "dendritic polymer" refers to the degree of branching 99. 9-100%. 参见H. Frey等人，Acta Polym. 1997，48，30对“支化度”的定义。 See H. Frey et al., Defined Acta Polym. 1997,48,30 on the "degree of branching" of. 通过GPC，PMMA标准，二甲基乙酰胺洗脱液测定的组分似）优选具有的Mn为300-30000g/mol，尤其是400_25000g/mol，非常特别优选500_20000g/mol。  Component measured by GPC, PMMA standard, dimethylacetamide eluent like) preferably has a Mn of 300-30000g / mol, in particular 400_25000g / mol, very particularly preferably 500_20000g / mol. 根据 DIN 53240，B2)优选具有的OH 数为0_600mg KOH/g 聚酯，优选l_500mg KOH/ g聚酯，特别是20-500mg KOH/g聚酯，且优选具有的COOH数为0-600mg KOH/g聚酯，优选l-500mg KOH/g 聚酯，尤其是2-500mg K0H/g 聚酯。  According to DIN 53240, the number of OH B2) is preferably 0_600mg KOH / g of polyester, preferably l_500mg KOH / g polyester, in particular 20-500mg KOH / g polyester, and preferably has a COOH number from 0 600mg KOH / g of polyester, preferably l-500mg KOH / g polyester, especially 2-500mg K0H / g polyester. Tg 优选为-50°C至140°C，尤其是_50°C至100°C (借助DSC，根据DIN53765)。  Tg is preferably -50 ° C to 140 ° C, especially _50 ° C to 100 ° C (by DSC, according to DIN53765). 特别优选那些其中至少一个OH或C00H数大于0，优选大于0. 1，尤其是大于0. 5 的组分B2)。  particularly preferred are those wherein at least one OH or C00H number greater than 0, preferably greater than 0.1, in particular greater than the component B2 0. 5). (b)使一种或多种三羧酸或更高级多羧酸或一种或多种其衍生物与一种或多种二醇反应。  (b) reacting one or more tricarboxylic acids or higher polycarboxylic acids or one or more derivatives thereof with one or more diol. 在溶剂中反应是优选的制备方法。 In a solvent it is preferred methods of preparation. 对本发明而言，高官能的超支化聚酯似）具有分子和结构不均一性。  For the present invention, highly functional hyperbranched polyesters like) having a molecular and structural heterogeneity. 其分子不均一性使其区别于树枝状聚合物，因此其可以以相当低的成本制备。 Molecular heterogeneity which distinguishes them from dendrimers, and therefore can be prepared at relatively low cost. 亚烷基，如亚甲基或乙叉基，或者 C6-C14芳基，例如苯基、1-萘基、2-萘基、1-蒽基、2-蒽基、9_蒽基、1_菲基、2_菲基、3-菲基、4-菲基和9-菲基，优选苯基、1-萘基和2-萘基，特别优选苯基。  alkylene group such as methylene or ethylidene, or  C6-C14 aryl group such as phenyl, 1-naphthyl, 2-naphthyl, 1-anthryl, 2-anthryl group, 9_ anthryl, phenanthryl 1_, 2_ phenanthryl, 3-phenanthryl, 4-phenanthryl and 9-phenanthryl, preferably phenyl, 1-naphthyl and 2-naphthyl, particularly preferably phenyl. 可提及的代表性的取代二羧酸的实例为：2-甲基丙二酸、2-乙基丙二酸、2-苯基丙二酸、2-甲基琥珀酸、2-乙基琥珀酸、2-苯基琥珀酸、衣康酸、3，3-二甲基戊二酸。  Examples of substituted dicarboxylic acids may be mentioned as representative: 2-methyl malonic acid, ethyl malonic acid, 2-phenyl-malonic acid, methyl succinic acid, 2 - ethyl succinic acid, 2-phenyl-succinic acid, itaconic acid, 3,3-dimethyl glutaric acid. 在二羧酸中，可根据方案（a)反应的还有烯属不饱和酸，例如马来酸和富马酸，以及芳族二羧酸，例如邻苯二甲酸、间苯二甲酸或对苯二甲酸。  Among the dicarboxylic acids, according to the embodiment also ethylenically unsaturated acids, such as maleic acid and fumaric acid, and aromatic dicarboxylic acids, such as phthalic acid, isophthalic (a) reacting acid or terephthalic acid. 也可以使用两种或更多种上述代表性化合物的混合物。  described above may also be used mixtures of two or more of the representative compounds. 可以使用二羧酸本身也可以使用其衍生物形式。  using the dicarboxylic acid per se can be used in the form of a derivative. -混合酯，优选甲基乙基酯。  - mixed esters, preferably methyl ethyl ester. 在优选制备方法中，也可以使用由二羧酸和一种或多种其衍生物组成的混合物。  In the preferred preparation may be a mixture of one or more dicarboxylic acids and derivatives thereof. 同样地，也可以使用一种或多种二羧酸的两种或更多种不同衍生物的混合物。 Likewise, also possible to use a mixture of one or two or more dicarboxylic acids or more different derivatives. 特别优选使用琥珀酸、戊二酸、己二酸、邻苯二甲酸、间苯二甲酸、对苯二甲酸或其单或二甲基酯。  particularly preferable to use succinic acid, glutaric acid, adipic acid, phthalic acid, isophthalic acid, terephthalic acid or their mono- or dimethyl esters. 非常特别优选使用己二酸。 Very particularly preferably adipic acid. 可反应的至少三元醇的实例为：甘油、1，2，4-丁三醇、1，2，5-正戊三醇、1，3，5-正戊三醇、1，2，6-正己三醇、1，2，5-正己三醇、1，3，6-正己三醇、三羟甲基丁烷、三羟甲基丙烷或双三羟甲基丙烷、三羟甲基乙烷、季戊四醇或双季戊四醇；糖醇，例如内消旋赤藓醇(mesoerythriol)、苏糖醇、山梨糖醇、甘露醇或上述至少三元醇的混合物。  Examples of the reaction of at least trihydric alcohols: glycerol, 1,2,4-butanetriol, 1,2,5-hexanetriol n-pentyl, n-pentyl 1,3,5-triol, 1, 2,6-n-hexanetriol, 1,2,5-hexanetriol, n-hexyl, n-1,3,6-hexanetriol, trimethylol butane, trimethylol propane or trimethylol propane bis, tris-hydroxyethyl methyl ethane, pentaerythritol or dipentaerythritol; sugar alcohols such as threitol, sorbitol, mannitol, or a mixture of meso-erythritol (mesoerythriol) of said at least trihydric alcohols. 优选使用甘油、 三羟甲基丙烷、三羟甲基乙烷和季戊四醇。 Preferably glycerol, trimethylolpropane, trimethylolethane and pentaerythritol. 可根据方案（b)反应的三羧酸或多羧酸的实例为苯-1，2，4-三甲酸、苯_1，3， 5-三甲酸、苯-1，2，4，5-四甲酸和苯六甲酸。  According to embodiment examples tricarboxylic acids or polycarboxylic acids (b) the reaction of benzene-1,2,4-tricarboxylic acid, benzene _1,3, 5-tricarboxylic acid, benzene 1,2,4 , 5-tetracarboxylic acid, and mellitic acid. 三羧酸或多羧酸可以其本身或衍生物形式用在本发明反应中。  tricarboxylic acids or polycarboxylic acids can be used per se in the form of a derivative or reaction of the present invention. -以及混合的甲基乙基酯。  -, and mixed methyl ethyl esters. 对本发明而言，也可以使用由三-或多羧酸和一种或多种其衍生物组成的混合物。  For the present invention, it may also be used by a three - or a mixture of one or more carboxylic acids and derivatives thereof. 对本发明而言，为了获得组分B》，同样可以使用一种或多种三-或多羧酸的两种或更多种不同衍生物的混合物。 For the present invention, in order to obtain component B ", it may also be one or more of a three - or a mixture of two or more different carboxylic acid derivative. 用于本发明方案（b)的二醇的实例为乙二醇、1，2_丙二醇、1，3_丙二醇、1，2_丁二醇、1，3-丁二醇、1，4_ 丁二醇、2，3-丁二醇、1，2-戊二醇、1，3-戊二醇、1，4_ 戊二醇、1，5-戊二醇、2，3_ 戊二醇、2，4_ 戊二醇、1，2-己二醇、1，3-己二醇、1，4_ 己二醇、1，5_ 己二醇、1，6-己二醇、2，5-己二醇、1，2-庚二醇、1，7-庚二醇、1，8-辛二醇、1，2-辛二醇、1，9-壬二醇、 1,10-癸二醇、1，2-癸二醇、1，12-十二烷二醇、1，2-十二烷二醇、1，5-己二烯_3，4-二醇、 环戊二醇、环己二醇、肌醇和衍生物、O)-甲基戊烷-2，4-二醇、2，4_ 二甲基戊烷-2，4-二醇、2-乙基己烷-1，3-二醇、2，5-二甲基己烷-2，5-二醇、2，2，4-三甲基戊烷-1，3-二醇、频哪醇、二甘醇、三甘醇、一缩二丙二醇、二缩三丙二醇、聚乙二醇HO(CH2CH2O)nH或聚丙二醇HO(CH[CH3]CH2O)nH或两种或更多种上述化合  Examples of embodiment of the present invention, the diol (b) is ethylene glycol, propylene glycol 1,2_, 1,3_ glycol, 1,2_-butanediol, 1,3-butanediol, 1 , 4_ butanediol, 2,3-butanediol, 1,2-pentanediol, 1,3-pentanediol, 1,4_-pentanediol, 1,5-pentanediol, glutaric 2,3_ alcohols, 2,4_-pentanediol, 1,2-hexanediol, 1,3-hexanediol, hexylene glycol 1,4_, 1,5_-hexanediol, 1,6-hexanediol, 2,5 - hexanediol, 1,2-heptanediol, 1,7-heptanediol, 1,8-octanediol, 1,2-octanediol, 1,9-nonanediol, 1,10 diol, 1,2-decanediol, 1,12-dodecanediol, 1,2-dodecanediol, 1,5-hexadiene _3,4- diol, cyclopentane diol , cyclohexane diol, inositol and derivatives, O) - methylpentane-2,4-diol, pentane-2,4-dimethyl-2,4_-diol, 2-ethyl hexane -1 , 3-diol, 2,5-dimethyl hexane-2,5-diol, 2,2,4-trimethylpentane-1,3-diol, pinacol, diethylene glycol, triethylene glycol, dipropylene glycol, tripropylene glycol, polyethylene glycols HO (CH2CH2O) nH or polypropylene glycols HO (CH [CH3] CH2O) nH, or two or more of the above compound 的代表性化合物的混合物，其中η = 4-25 的整数。 Representative compounds of the mixture, wherein the integer η = 4-25. 这里上述二醇中的一个或两个羟基也可以被SH基替代。 Here one of the diol or two hydroxy groups may also be replaced by SH. 优选乙二醇、1，2_丙二醇和二甘醇、三甘醇、一缩二丙二醇和二缩三丙二醇。 Ethylene glycol, propylene glycol and 1,2_ diethylene glycol, triethylene glycol, dipropylene glycol and tripropylene glycol. 在方案（a)和（b)中，在聚酯AJy分子中分子A与分子B的摩尔比为4 ： 1-1 ： 4， 特别是2 ： 1-1 ： 2。  In Scheme (a) and (b), the molar ratio of the polyester molecules AJy molecule A and molecule B is 4: 1 to 1: 4, in particular 2: 1 to 1: 2. 根据本发明方法的方案（a)反应的至少三元醇可含有反应性都相同的羟基。  (a) reacting at least trihydric alcohols may contain reactive hydroxy groups according to the same embodiment of the method of the present invention. 这里还优选这样的至少三元醇，其OH基团最初具有相同的反应性，但是当其与至少一个酸基反应时，由于空间或电子效应，可导致其余OH基团的反应性下降。 There is also preferably at least trihydric alcohols such that OH groups initially have the same reactivity, but when it reacts with the at least one acid group, due to steric or electronic effects, can result in the reaction of the OH groups remaining decreases. 例如，这适用于使用三羟甲基丙烷或季戊四醇的情况。 For example, this applies to the use of trimethylolpropane or pentaerythritol. 然而，根据方案（a)反应的至少三元醇也可含有具有至少两种不同化学反应性的羟基。  However, the solution according to the at least trihydric alcohols (a) the reaction may also contain at least two hydroxyl groups have different chemical reactivity. 这里，官能团的不同反应性可以源于化学因素（例如伯/仲/叔OH基），也可源于空间因素。  Here, the different reactive functional groups may be derived from chemical factors (e.g., primary / secondary / tertiary OH group) may also be derived from spatial factors. 例如，三醇可以包括具有伯和仲羟基的三醇，优选实例为甘油。  For example, triols may include the primary and secondary hydroxyl triols, preferably glycerol examples. 当根据方案（a)进行本发明反应时，优选在不存在二醇和一元醇下操作。  When the reaction is carried out in accordance with the present invention embodiment (a), preferably without operating the diol and monohydric alcohol is present. 当根据方案（b)进行本发明反应时，优选在不存在单-或二羧酸下操作。 A dicarboxylic acid or a lower operation -  of the present invention when the reaction according to scheme (b), preferably in the presence of a single no. 本发明的方法在溶剂存在下进行。  The method of the present invention is carried out in the presence of a solvent. 适合的化合物实例为烃类，例如烷烃或芳族化合物。 Examples of suitable compounds are hydrocarbons, such as alkanes or aromatic compounds. 尤其适合的烷烃为正庚烷和环己烷。 Particularly suitable paraffins are n-heptane and cyclohexane. 尤其适合的芳族化合物为甲苯、邻二甲苯、间二甲苯、对二甲苯、异构体混合物形式的二甲苯、乙苯、氯苯以及邻-和间二氯苯。 Particularly suitable aromatics are toluene, ortho-xylene, m-xylene, para-xylene, the isomer mixture, ethylbenzene, chlorobenzene and o - and m-dichlorobenzene. 当不存在酸性催化剂时，其它非常特别适合的溶剂为：醚类如二噁烷或四氢呋喃，以及酮类如甲基乙基酮和甲基异丁基酮。 When the presence of acidic catalysts, other very particularly suitable solvents are: ethers, such as dioxane or tetrahydrofuran, and ketones such as methyl ethyl ketone and methyl isobutyl ketone. 根据本发明，基于所使用和待反应的原料的重量，溶剂的加入量为至少0. 1重量％，优选至少1重量％，特别优选至少10重量％。  According to the invention, based on the weight, the addition amount of the solvent used and the starting material to be reacted is at least 0.1 wt%, preferably at least 1 wt%, particularly preferably at least 10 wt%. 也可以使用过量溶剂，例如基于所使用和待反应的原料的重量加入1.01-10倍的量。 Excess solvent may also be used, for example, based on the weight of the material to be used and the reaction is added in an amount of 1.01 to 10 times. 溶剂量大于所使用和待反应的原料重量的100倍是不利的，因为在显著降低的反应物浓度下反应速率显著下降，导致不经济的长反应时间。 100 times greater than the solvent to be used and the weight of the reaction raw material is disadvantageous, because the reaction rate is significantly decreased at a significantly reduced concentration of reactants, resulting in uneconomically long reaction times. 为进行本发明的优选方法，可以在作为添加剂的脱水剂存在下进行操作，脱水剂在反应开始时加入。  The preferred method of the present invention can be operated in the presence of a dehydrating agent as an additive, a dehydrating agent is added at the start of the reaction. 适合的脱水剂实例为分子筛，尤其是4人分子筛，MgSO4和Na2S04。 Examples of suitable dehydrating agent is molecular sieves, especially 4 molecular sieves, MgSO4, and Na2S04. 反应期间，也可以加入其它脱水剂或用新鲜脱水剂替换脱水剂。 During the reaction, a dehydrating agent may be added or replace other dehydrating agent with fresh dehydrating agent. 在反应期间也可以通过蒸馏以及例如使用水分离器除去形成的水或醇。 During the reaction by distillation, and may be water or an alcohol, for example, using a water separator to remove formation. 该方法可以在不存在酸性催化剂下进行。  The method may be carried out in the presence of acidic catalysts. 优选在酸性无机催化剂、有机金属催化剂或有机催化剂存在下，或在由两种或更多种酸性无机催化剂、有机金属催化剂或有机催化剂组成的混合物存在下操作。 Preferably in the presence of acidic inorganic catalysts, organic metal catalysts or organic catalysts, or operating in the presence of a mixture of two or more acidic inorganic catalysts, organic metal catalysts or organic catalysts thereof. 对本发明而言，酸性无机催化剂的实例为硫酸、磷酸、膦酸、次磷酸、水合硫酸铝、明矾、酸性硅胶（PH = 6，尤其是=¾以及酸性氧化铝。可用作酸性无机催化剂的其它化合物的实例为通式Al (OR)3的铝化合物和通式Ti (OR)4的钛酸酯，其中各R基可相同或不同，并相互独立地选自=C1-Cltl烷基，例如甲基、乙基、正丙基、异丙基、正丁基、异丁基、仲丁基、叔丁基、正戊基、异戊基、仲戊基、新戊基、1，2_ 二甲基丙基、异戊基、正己基、异己基、仲己基、正庚基、异庚基、正辛基、2-乙基己基、正壬基和正癸基。  For the present invention, examples of acidic inorganic catalysts are sulfuric acid, phosphoric acid, phosphonic acid, hypophosphorous acid, aluminum sulfate hydrate, alum, acidic silica gel (PH = 6, in particular = ¾ and acidic alumina. 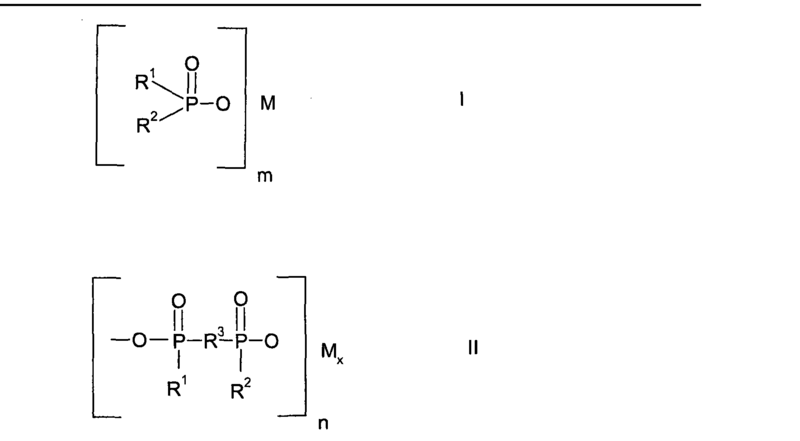 Useful acid examples of other inorganic compounds of the general formula catalyst Al (oR) 3 and aluminum compounds of the general formula Ti (oR) 4 titanate, wherein each R group may be the same or different and are independently selected from = C1-Cltl alkyl such as methyl, ethyl, n-propyl, isopropyl, n-butyl, isobutyl, sec-butyl, tert-butyl, n-pentyl, isopentyl, sec-pentyl, neo-pentyl, 1,2_-dimethylpropyl, isopentyl, n-hexyl, isohexyl, sec-hexyl, n-heptyl, iso-heptyl, n-octyl, 2-ethylhexyl, n-nonyl and n-decyl. C3-C12环烷基，例如环丙基、环丁基、环戊基、环己基、环庚基、环辛基、环壬基、环癸基、环十一烷基和环十二烷基；优选环戊基、环己基和环庚基。  C3-C12 cycloalkyl, such as cyclopropyl, cyclobutyl, cyclopentyl, cyclohexyl, cycloheptyl, cyclooctyl, nonyl, cyclodecyl, undecyl and cycloalkyl rings ten dialkylamino; preferably cyclopentyl, cyclohexyl and cycloheptyl. Al (OR) 3或Ti (OR)4中的各R基优选为相同的基团并选自异丙基或2_乙基己基。  Al (OR) 3 or Ti (OR) 4 in each of the R groups are preferably the same radicals and are selected from isopropyl or 2_ ethylhexyl. 优选的酸性有机催化剂为例如具有磷酸酯基、磺酸基、硫酸酯基或膦酸基的酸性有机化合物。  Preferred acidic organic catalysts are acidic organic compounds having, for example, a phosphate group, a sulfonic acid group, sulfate ester group or phosphonic acid group. 特别优选磺酸，例如对甲苯磺酸。 Particularly preferred sulfonic acids such as p-toluenesulfonic acid. 酸性离子交换剂也可用作酸性有机催化剂， 例如含有磺酸基并用约2mol%的二乙烯基苯交联的聚苯乙烯树脂。 Acidic ion exchangers can be used as acidic organic catalysts, such as those containing sulfonic acid groups and treated with approximately 2mol% divinylbenzene cross-linked polystyrene resin. 也可以使用两种或更多种上述催化剂的组合。  may also be used in combination of two or more of the above catalysts. 也可以使用固定化形式的那些有机催化剂或有机金属催化剂，或使用呈离散分子形式的无机催化剂。 It may also be used in immobilized form to those organic catalysts or organometallic catalysts, or the form of discrete molecules in the form of inorganic catalyst. 如果希望使用酸性无机催化剂、有机金属催化剂或有机催化剂，则根据本发明催化剂用量为0. 1-10重量％，优选0. 2-2重量％。  If you want to use acidic inorganic catalysts, organic metal catalysts or organic catalysts, the catalyst according to the present invention is used in an amount of 0. 1-10% by weight, preferably 0. 2-2% by weight. 本发明方法在惰性气体中进行，例如在二氧化碳、氮气或稀有气体中进行，其中可尤其提到氩气。  The method of the present invention is carried out in an inert gas, for example carbon dioxide, nitrogen or a rare gas, which may be mentioned in particular argon. 本发明方法在60-200°C的温度下进行。  The method of the present invention is carried out at a temperature of 60-200 ° C. 优选在130-180°C的温度下操作，尤其是至多150°C，或低于该温度。 Preferably at a temperature of 130-180 ° C in operation, in particular at most 150 ° C, or below this temperature. 特别优选最高温度至多145°C，非常特别优选高达135°C的温度。 Particularly preferably up to a maximum temperature of 145 ° C, very particularly preferably a temperature of up to 135 ° C.
 本发明方法的压力条件本身并不重要。  pressure conditions of the process of the present invention is not critical per se. 其可以在显著减压下，例如在10-500毫巴下操作。 It may, for example, operated at 10-500 mbar significantly reduced pressure. 本发明方法也可以在高于500毫巴的压力下进行。 The method of the present invention may be carried out at pressures above 500 mbar. 由于简单，优选在大气压下反应；然而，反应也可以在略有增加的压力下进行，例如至多1200毫巴。 Because of the simple, the reaction is preferably at atmospheric pressure; however, the reaction may be carried out under slightly increased pressure, for example up to 1200 mbar. 还可以在显著增加的压力下进行，例如在高达10巴的压力下进行。 It may also be at significantly increased pressures, for example at a pressure up to 10 bar. 优选反应在大气压下进行。 The reaction is preferably carried out at atmospheric pressure. 本发明方法的反应时间通常为10分钟至25小时，优选30分钟至10小时，特别优选1-8小时。  The method of the present invention, the reaction time is usually from 10 minutes to 25 hours, preferably 30 minutes to 10 hours, particularly preferably 1 to 8 hours. 一旦反应结束，可容易地分离高官能的超支化聚酯，例如通过过滤除去催化剂并浓缩混合物，这里浓缩方法通常在减压下进行。  Upon completion of the reaction, can be easily separated SOM hyperbranched polyester can, for example, the catalyst was removed by filtration and the mixture concentrated, the concentration process here is generally carried out under reduced pressure. 其它具有良好适用性的后处理方法为添加水后的沉淀，随后进行洗涤和干燥。 Other post-treatment method has good applicability precipitated after addition of water, followed by washing and drying. 组分B2)也可在酶或酶的分解产物存在下制备（根据DE-A 101 63163)。  Component B2) may also be prepared in the presence of enzymes or decomposition products of enzymes (according to DE-A 101 63163). 对本发明而言，术语酸性有机催化剂不包括根据本发明反应的二羧酸。 For the present invention, the term acidic organic catalysts does not include dicarboxylic acids according to the reaction of the present invention. 优选使用脂酶或酯酶。  preferably with a lipase or esterase. 具有良好适用性的脂酶和酯酶为柱状假丝酵母（Candida cylindracea)、解脂假丝酵母（Candida lipolytica)、皱褶假丝酵母（Candida rugosa)、南极假丝酵母（Candida antarctica)、产朊假丝酵母（Candida utilis)、Chromobacterium viscosum、Geolrichum viscosum、白地霉(Geotrichum candidum)、爪唾毛霉(Mucor javanicus)、米黑毛霉（Mucor mihei)、猪胰腺、假单胞菌属（pseudomonas spp·)、焚光假单胞菌(pseudomonas fluorescens)、洋葱假单胞菌(Pseudomonas cepacia)、少根根霉(Rhizopus arrhizus)、德氏根霉(Rhizopus delemar)、雪白根霉（Rhizopusniveus)、 米根霉(Rhizopus oryzae)、黑曲霉(Aspergillus niger)、娄地青霉(Penicillium roquefortii)、沙门柏干酪青霉（Penicillium camembertii)或来自芽孢杆菌属（Bacillus spp. )和Bacillus thermoglucosidasius的酯酶。 Has good applicability lipase and esterase are columnar Candida (Candida cylindracea), Candida lipolytica (Candida lipolytica), Candida rugosa (Candida rugosa), Candida antarctica (Candida antarctica), producing Candida (Candida utilis), Chromobacterium viscosum, Geolrichum viscosum, Geotrichum (Geotrichum candidum), saliva pawl Mucor (Mucor javanicus), Mucor miehei (Mucor mihei), porcine pancreas, Pseudomonas (Pseudomonas spp ·), Pseudomonas burning light (pseudomonas fluorescens), P. cepacia (Pseudomonas cepacia), Rhizopus arrhizus (Rhizopus arrhizus), Rhizopus delemar (Rhizopus delemar), Rhizopus niveus (Rhizopusniveus), oryzae (Rhizopus oryzae), Aspergillus niger (Aspergillus niger), Penicillium roqueforti (Penicillium roquefortii), Salmonella Bo cheese Penicillium (Penicillium camembertii) or esterase derived from Bacillus (Bacillus spp. ), and the Bacillus thermoglucosidasius. 特别优选南极假丝酵母脂酶B。 Particularly preferably Candida antarctica lipase B. 所列出的酶可例如从丹麦Novozymes Biotech Inc.购得。 Enzymes listed may for example be purchased from the Danish Novozymes Biotech Inc..
 酶优选以例如固定于硅胶和Lewatit®上的形式使用。  the enzyme is preferably used in the form of, for example, fixed to the silica gel and Lewatit®. 固定酶的方法本身是已知的，例如由Kurt Faber 的''Biotransformations in organicchemistry1997 年第3 版， Springer Verlag，第3. 2章“Immobilization”第345-356页已知。 The method of immobilizing enzymes are known per se, for example '' Biotransformations in organicchemistry1997 on 3rd edition, Springer Verlag, Chapter 3. 2 Kurt Faber's "Immobilization" pp. 345-356 is known. 固定化酶可例如从丹麦Novozymes Biotech Inc.购得。 For example, the immobilized enzyme may be purchased from the Danish Novozymes Biotech Inc..
 本发明方法在高于60°C的温度下进行。  The method of the present invention is carried out at a temperature of above 60 ° C. 优选在100°C或低于100°C的温度下操作。 It is preferably operated at or below 100 ° C for a temperature of 100 ° C. 优选温度至多80°C，非常特别优选温度为62-75°C，还更优选温度为65-75°C。 Preferably a temperature of at most 80 ° C, very particularly preferably a temperature of 62-75 ° C, still more preferably a temperature of 65-75 ° C.
 本发明方法在溶剂存在下进行。  The method of the present invention is carried out in the presence of a solvent. 适合化合物的实例为烃类，例如烷烃或芳族化合物。 Examples of suitable compounds are hydrocarbons, such as alkanes or aromatic compounds. 尤其适合的烷烃为正庚烷和环己烷。 Particularly suitable paraffins are n-heptane and cyclohexane. 尤其适合的芳族化合物为甲苯、邻二甲苯、间二甲苯、对二甲苯，异构体混合物形式的二甲苯，乙苯、氯苯和邻-和间二氯苯。 Particularly suitable aromatics are toluene, ortho-xylene, m-xylene, para-xylene, the isomer mixture, ethylbenzene, chlorobenzene and o - and m-dichlorobenzene. 其它非常特别适合的溶剂为：醚类如二噁烷或四氢呋喃，以及酮类如甲基乙基酮和甲基异丁基酮。 Other very particularly suitable solvents are: ethers, such as dioxane or tetrahydrofuran, and ketones such as methyl ethyl ketone and methyl isobutyl ketone. 基于所用的和待反应的原料的重量，溶剂加入量至少为5重量份，优选至少50重量份，特别优选至少100重量份。  based on the weight of the raw material used and to be reacted, the solvent is added in an amount of at least 5 parts by weight, preferably at least 50 parts by weight, particularly preferably at least 100 parts by weight. 不希望溶剂量大于10000重量份，因为在显著更低的浓度下反应速率显著下降，导致不经济的长反应时间。 Without wishing to greater than 10,000 parts by weight of a solvent, because the reaction rate is significantly decreased at significantly lower concentrations, giving uneconomically long reaction times. 本发明方法在高于500毫巴的压力下进行。  The method of the present invention is carried out at pressures above 500 mbar. 优选在大气压或略有增加的压力下反应，例如至多1200毫巴。 Preferably, the reaction at atmospheric or slightly increased pressure, for example up to 1200 mbar. 也可以在显著加压下，例如在高达10巴的压力下操作。 May be, for example, operated at a pressure up to 10 bar pressure at significantly. 优选在大气压下反应。 Preferably the reaction at atmospheric pressure. 一旦反应结束，可容易地分离出高官能的超支化聚酯，例如通过过滤除去酶并浓缩混合物，这里浓缩方法通常在减压下进行。  Upon completion of the reaction, the SOM can be easily separated hyperbranched polyesters can, for example, the enzyme was removed by filtration and the mixture concentrated, the concentration process here is generally carried out under reduced pressure. 其它具有良好适用性的后处理方法为添加水后的沉淀法，随后进行洗涤和干燥。 Other post-treatment method has good applicability for precipitation after adding water, followed by washing and drying. 可通过本发明方法获得的高官能的超支化聚酯的特征在于变色和树脂化物质的含量特别低。  wherein the hyperbranched polyester obtainable by the official method of the present invention is that the energy content of the resin and discoloration of the material particularly low. 超支化聚合物的定义还参见:PJ Flory, J. Am. Chem. Soc. 1952，74，2718和A. Sunder等人，Chem. Eur. J. 2000，6，第1期，1_8。 Definition of hyperbranched polymers see also:..... PJ Flory, J. Am Chem Soc 1952,74,2718 and A. Sunder et al., Chem Eur J. 2000,6, No. 1, 1_8. 然而，在本发明的上下文中，“高官能的超支化”指支化度，即每分子中树枝状连接的平均数加上端基的平均数为10-99. 9%，优选20-99%，特别优选30-90% (关于这一点，参见H. Frey 等人，Acta Polym. 1997，48，30)。 However, in the context of the present invention, "highly functional hyperbranched" refers to the degree of branching, the average number per molecule i.e. the average number of dendritic linkages plus end group 10-99. 9%, preferably 20-99% , particularly preferably 30-90% (on this, see H. Frey et al., Acta Polym. 1997,48,30). 本发明聚酯的摩尔质量Mw为500-50000g/mol，优选1000-20000g/mol，特别优选1000-19000g/mol。  molar mass Mw of the polyester of the present invention 500-50000g / mol, preferably 1000-20000g / mol, particularly preferably 1000-19000g / mol. 多分散性为1. 2_50，优选1. 4_40，特别优选1. 5_30，非常特别优选1.5-10。 Polydispersity 1. 2_50, 4_40 preferably 1, particularly preferably 1. 5_30, very particularly preferably from 1.5 to 10. 它们通常易溶，即可使用高达50重量％，在某些情况下甚至高达80重量％的本发明聚酯在四氢呋喃（THF)、乙酸正丁基酯、乙醇和众多其它溶剂中制备澄清溶液，并且无肉眼可见的凝胶颗粒。 They are generally soluble, can be used up to 50 wt%, in some cases even up to 80% by weight of the polyester of the present invention in tetrahydrofuran (THF), n-butyl acetate, ethanol and numerous other solvent to prepare a clear solution, and no visible gel particles. 它例如通过使起始化合物的水溶液在90-100°C下反应而得到。  It is obtained, for example by reacting an aqueous solution of the starting compound in the reaction at 90-100 ° C. 可以市购的产物是d50平均粒度为1. 5-7 μ m的白色粉末。 May be commercially available product is a d50 average particle size of 1. 5-7 μ m white powder. 其他合适的化合物（也常称为盐或加合物）是蜜胺、蜜胺硼酸盐、蜜胺草酸盐、蜜胺磷酸盐（伯）、蜜胺磷酸盐（仲）和蜜胺焦磷酸盐（仲），蜜胺新戊二醇硼酸盐和聚合蜜胺磷酸盐（CAS No. 56386-64-2)。  Other suitable compounds (often referred to as salt or adduct) is melamine, melamine borate, melamine oxalate, melamine phosphate (primary), melamine phosphate (sec) and melamine pyrophosphate (sec), melamine borate neopentyl glycol and polymeric melamine phosphate (CAS No. 56386-64-2). 本发明高官能的超支化聚酯为羧基封端的、羧基和羟基封端的，优选羟基封端的聚酯。  The inventive highly functional hyperbranched polyesters are carboxyl-terminated, preferably hydroxyl and carboxyl terminated polyester hydroxyl terminated. 当以混合物使用时，组分Bi) ： B2)的比例优选为1 ： 20至20 ： 1，尤其是1 ： 15 至15 ： 1，非常特别是1 ： 5至5 ： 1。  When used in a mixture, the components of Bi): the ratio of B2) is preferably 1: 20-20: 1, especially 1: 15-15: 1, very particularly from 1: 5 to 5: 1. 这类配混材料可以Ultradur®high speed市购。  Such materials may be compounded Ultradur®high speed are commercially available. 本发明的模塑组合物包含1-40重量％，优选2-30重量％，尤其是5_20重量％选自含氮或含磷化合物或PN缩合物或它们的混合物的无卤阻燃剂作为组分C)。  The molding compositions according to the present invention comprises 1-40 wt%, preferably 2-30 wt%, especially halogen free flame retardant 5_20 wt% selected nitrogen- or phosphorus or PN condensates or mixtures thereof as component C). 优选根据本发明合适的蜜胺氰脲酸酯（组分C)为优选等摩尔量的蜜胺（式V)与氰脲酸或异氰脲酸（式Va和Vb)的反应产物。  or preferably a reaction product of isocyanuric acid (Formulas Va and Vb) according to the present invention is suitable melamine cyanurate (component C) of melamine (formula V) is preferably equimolar amount with cyanuric acid, etc. .
 对本发明而言，这些化合物包括苯胍胺本身及其加合物或盐，以及在氮上取代的衍生物及其加合物或盐。  For the present invention, these compounds include benzoguanamine and its adducts or salts per se, as well as derivatives thereof substituted on the nitrogen and salts or adducts. 或其与芳族羧酸Ar (COOH)ffl的反应产物，所述芳族羧酸需要的话相互间混合，其中Ar为单-、二-或三核芳族6员环体系且m为2、3或4。  or with aromatic carboxylic acids Ar (of COOH) ffl reaction product of the aromatic carboxylic acid if desired mixed with each other, wherein Ar is a mono -, di - or tri-nuclear aromatic 6-membered ring system and m 2, 3 or 4. 合适的羧酸实例是邻苯二甲酸、间苯二甲酸、对苯二甲酸、苯-1，3，5-三甲酸、 苯-1，2，4-三甲酸、1，2，4，5-苯四酸、苯偏四甲酸、连苯四酸、1-萘甲酸、2-萘甲酸、萘二甲酸和蒽甲酸。  Examples of suitable carboxylic acids are phthalic acid, isophthalic acid, terephthalic acid, benzene 1,3,5-tricarboxylic acid, benzene-1,2,4-tricarboxylic acid, 1,2, pyromellitic acid, trimellitic acid, prehnitic acid, 1-naphthoic acid, 2-naphthoic acid, naphthalene dicarboxylic acid and anthracene carboxylic acid. 它们按照EP-A 584 567的方法通过使异氰脲酸三（羟基乙基）酯与酸或其烷基酯或其卤化物反应而制备。  The method thereof EP-A 584 567 by reacting isocyanuric acid tris (hydroxyethyl) ester with an acid or an alkyl ester thereof prepared halide. 这类反应产物是还可以具有交联的单体酯和低聚酯的混合物。  Such reaction product may also be a mixture of crosslinkable monomers and esters of oligoester. 低聚程度通常为2 至约100，优选2-20。 Degree of oligomerization is usually about 2 to 100, preferably 2-20. 优选以与含磷的氮化合物，尤其是（NH4PO3)n或蜜胺焦磷酸盐或聚合蜜胺磷酸盐的混合物使用THEIC和/或其反应产物。 Preferably nitrogen and phosphorus-containing compounds, in particular a mixture (NH4PO3) n or melamine pyrophosphate or polymeric melamine phosphate THEIC use and / or reaction products thereof. 例如（NH4PO3)n与THEIC的混合比基于该类组分C)的混合物优选为90-50 ： 10-50重量％，尤其是80-50 ： 50-20重量％。 Such as mixed (NH4PO3) n based on the ratio of class THEIC component C) is preferably a mixture of 90-50: 10-50% by weight, in particular 80-50: 50-20% by weight. 其中R如在式VII中所定义。  wherein R is as defined in formula VII. 合适的产物可以市购或按照DE-A 196 14 4Μ制备。  Suitable products are commercially available or can be prepared according to DE-A 196 14 4Μ. 根据本发明可以使用的氰基胍（式X)例如通过使氰氨基钙与碳酸反应而得到，此时所产生的氰氨化物在9-10的ρΗ下二聚得到氰基胍。  obtained, for example, by reacting calcium cyanamide with carbonic cyanoguanidine reacted according to the present invention may be used in (formula X), at this time the resulting dimerization of cyanamide was cyanoguanidine at 9-10 ρΗ. 可以市购的产物为具有209-211°C的熔点的白色粉末。  may be commercially available product having a melting point of 209-211 ° C as a white powder. χ为1或2。  χ is 1 or 2. 特别优选其中R1和R2为氢，M优选为Si或Al的式II化合物，非常特别优选次膦酸钙。  wherein R1 and R2 are particularly preferably hydrogen, M is preferably Si or Al compounds of formula II, very particularly preferably calcium phosphinate. 这类产品可以市购，例如以次膦酸钙市购。  Such products are commercially available, such as an inferior race, calcium phosphonate commercially available. 其中仅一个基团R1或R2为氢的合适式I或II的盐是苯基次膦酸的盐，特别优选其Na和/或Ca盐。  wherein only one of the radicals R1 or R2 is hydrogen a suitable salt of Formula I or II is phenyl phosphinic acid, particularly preferably Na and / or Ca salt. 组分C)的含磷化合物优选为有机或无机含磷化合物，其中磷的价态为-3至+5。 Phosphorus-containing compounds  Component C) is preferably an organic or inorganic phosphorus-containing compounds, wherein the phosphorus valence state of -3 to +5. 对本发明而§，i亥价态为在Lehrbuch der AnorganischenChemie, Walter des Gruyter and Co. (1964，第57-70 版），第166-177 页中由AF Hollemann 和E. Wiberg 给出的氧化态。 The present invention and §, i Hai valence in Lehrbuch der AnorganischenChemie, Walter des Gruyter and Co. (1964, second edition 57-70), pp. 166-177 oxidation state given by the AF Hollemann and E. Wiberg. 价态为-3至+5的磷化合物衍生于膦（-3)、双膦（-2)、氧化膦（-1)、单质磷（+0)、次磷酸（+1)、 亚磷酸（+3)、连二磷酸(hypodiphosphoric acid) (+4)和磷酸（+5)。 Valence phosphorus compound is derived from -3 to +5 phosphine (-3), bis phosphine (-2), phosphine oxide (-1), elemental phosphorus (+0), hypophosphorous acid (1), phosphorous acid ( +3), hypophosphoric acid (hypodiphosphoric acid) (+4) and phosphoric acid (+5). 仅从大量含磷化合物中提到几个实例。  mentioned only a few examples of the large number of phosphorus-containing compounds. 价态为-3的膦类磷化合物的实例为芳族膦，如三苯基膦、三甲苯基膦、三壬基膦、三萘基膦和三壬基苯基膦。 Examples of phosphorus compounds phosphines  -3 valence aromatic phosphines, such as triphenylphosphine, tritolylphosphine, tris nonyl phosphine, trinaphthylphosphine phosphine and tris-nonylphenyl. 特别合适的是三苯基膦。 Particularly suitable triphenylphosphine. 价态为-1的磷化合物衍生于氧化膦。  valence state -1 phosphorus compound derived from phosphine oxide. 其中R1、R2和R3相同或不同且为具有8-40个碳原子的烷基、芳基、烷基芳基或环烧基。  wherein identical or different R1, R2 and R3, and an alkyl group having 8 to 40 carbon atoms, aryl, alkyl aryl or cycloalkyl group burning. 氧化膦的实例是三苯基氧化膦、三甲苯基氧化膦、三壬基苯基氧化膦、三环己基氧(正丁基）氧化膦、三（正己基）氧化膦、三（正辛基）氧化膦、三（氰基乙基）氧化膦、苄基二（环己基）氧化膦、苄基二苯基氧化膦和苯基二（正己基）氧化膦。  Examples of phosphine oxides are triphenylphosphine oxide, tricresyl phosphine oxide, tris nonyl phenyl phosphine oxide, tricyclohexylphosphine oxide (n-butyl) phosphine oxide, tri (n-hexyl) phosphine oxide, tris ( n-octyl) phosphine oxide, diphenyl phosphine oxide, tris (cyanoethyl) phosphine oxide, benzyl-di (cyclohexyl) phosphine oxide, benzyl, and phenyl di (n-hexyl) phosphine oxide. 其他优选的化合物是膦和醛的氧化反应产物，尤其是叔丁基膦与乙二醛的氧化反应产物。 Other preferred compounds are phosphine oxide and the reaction product of an aldehyde, in particular tert-butylphosphine with glyoxal reaction product. 特别优选使用三苯基氧化膦、三环己基氧化膦、三（正辛基）氧化膦或三（氰基乙基）氧化膦。 Particularly preferred to use triphenyl phosphine oxide, tricyclohexylphosphine oxide, tris (n-octyl) phosphine oxide or tris (cyanoethyl) phosphine oxide. 其他合适的化合物是三苯基硫化膦以及上面对氧化膦提到的它们的衍生物。  Other suitable compounds are triphenyl phosphine sulfide and an upper face of the mentioned phosphine oxide derivatives thereof. 价态为+0的磷是单质磷。  phosphorus valence state +0 is elemental phosphorus. 可能的是红磷和黑磷，优选红磷。 Possible that red phosphorus and black phosphorus, preferably red phosphorus. 氧化态为+1的磷化合物的实例是纯有机类型的次磷酸酯，例如有机次磷酸酯如纤维素次磷酸酯和次磷酸与二醇的酯，如1，10-十二烷二醇的次磷酸酯。  phosphorous compound in oxidation state +1 examples are purely organic type hypophosphites, for example, organic hypophosphites such as cellulose hypophosphite and hypophosphorous acid esters and diols, such as 1,10-dodecane phosphinate glycol. 还可以使用取代的次膦酸及其酸酐，例如二苯基次膦酸。 It may also be used and substituted phosphinic acid anhydrides, for example, diphenyl phosphinic acid. 其他可能的化合物是二-对甲苯基次膦酸和二甲酚基次膦酸酐。 Other possible compounds di - tolyl phosphinic acid and phosphinic acid anhydride dicresyl pair. 尤其还可以使用诸如氢醌、乙二醇和丙二醇的二（二苯基次膦酸）酯的化合物。 In particular, such as hydroquinone, a compound of ethylene glycol and propylene bis (diphenylphosphinic) esters may also be used. 其他合适的化合物是芳基（烷基）次膦酸酰胺，如二苯基次膦酸的二甲基酰胺，以及磺酰胺基芳基（烷基）次膦酸衍生物，如对甲苯磺酰胺基二苯基次膦酸。 Other suitable compounds are aryl (alkyl) phosphinic acid amides, phosphinic acid derivatives such as diphenyl phosphinic acid dimethylamide, and aryl sulfonamide (alkyl), such as p-toluenesulfonamide diphenyl phosphinic acid. 优选使用氢醌或乙二醇的二（ 二苯基次膦酸）酯，或氢醌的二（ 二苯基次膦酸酯）。 Preferably hydroquinone or ethylene glycol bis (diphenylphosphino acid) ester, or hydroquinone bis (diphenyl phosphonate). 其中 R SC1-C4 烷基，优选甲基，且χ 为O 或l(Albright & Wilson 的Amgard®P 45)。  wherein R SC1-C4 alkyl, preferably methyl, and χ is O or l (Albright & Wilson's Amgard®P 45). 价态为+3的磷也存在于亚磷酸三芳基（烷基)酯如亚磷酸三苯基酯、亚磷酸三(4-癸基苯基）酯、亚磷酸三（2，4-叔丁基苯基）酯和亚磷酸苯基二癸基酯中。  +3 valence state of phosphorus also present in the triaryl phosphite (alkyl) esters such as triphenyl phosphite, tris (4-decyl phenyl) phosphite, tris (2,4 - tert-butylphenyl) phosphite and diphenyl decyl ester. 然而，还可以使用二亚磷酸酯，如丙二醇1，2-二（二亚磷酸酯）或衍生于季戊四醇、新戊二醇或焦儿茶酚的环状亚磷酸酯。 However, it is also possible to use diphosphite, propylene glycol such as 1,2-bis (phosphite) or derived from pentaerythritol, neopentyl glycol or pyrocatechol cyclic phosphite. 以及η的平均值为0. 1-100，优选0.5-50，尤其是0.8-10，非常特别优选为1_5。  and the mean value η for 0. 1 to 100, preferably 0.5 to 50, especially 0.8 to 10, very particularly preferably 1_5. 由于用于其制备的工艺，可以商品名Fyroflex®或Fyrol®_RDP(Akzo)和CR 733-S (Daihachi)市购的RDP产物为约85 % RDP (n = 1)与约2. 5 %磷酸三苯基酯和约12. 5%的其中低聚程度在大多数情况下小于10的低聚级分的混合物。  Since the process for the preparation thereof, RDP product or trade name Fyroflex® Fyrol®_RDP (Akzo) and CR 733-S (Daihachi) is commercially available from about 85% RDP (n = 1) and about 2. the mixture of oligomeric fractions 10 5% triphenyl phosphate and about 12.5% ​​of which is less than the degree of oligomerization in most cases. 还可以使用环状磷酸酯。  cyclic phosphates may also be used. 其中特别合适的是二磷酸二苯基季戊四醇酯和磷酸苯基新戊基酯。 Wherein particularly suitable diphenyl pentaerythritol diphosphate and phenyl neopentyl phosphate ester. 除了上述低分子量磷化合物外，还可以使用低聚或聚合的磷化合物。  In addition to the low molecular weight phosphorus compounds, use may also be oligomeric or polymeric phosphorus compounds. 这类在聚合物链中含有磷的无卤的聚合有机磷化合物例如在不饱和五环二卤化膦的制备中生产，例如如DE-A 20 36 173中所述。  Such polymeric organic phosphorus compounds containing phosphorus in the polymer chain, for example, in a halogen-free preparation of pentacyclic unsaturated phosphine dihalides produced, for example as described in DE-A 20 36 173. 通过蒸气压渗透压法在二甲基甲酰胺中测量的聚氧化膦的分子量应为500-7000，优选700-2000。 Polyethylene oxide by vapor pressure osmometry as measured in dimethyl formamide molecular weight should be 500-7000, preferably 700-2000. 这里的磷具有的氧化态为-1。  Here phosphorus has an oxidation state of -1. 还可以使用芳基（烷基）次膦酸的无机配位聚合物，如聚甲基苯基次膦酸钠(I)。  Use may also be aryl (alkyl) phosphinic acid, an inorganic coordination polymers, such as poly methylphenyl sodium phosphinate (I). 它们的制备给于DE-A 31 40 520中。 To their preparation in in DE-A 3,140,520. 磷的氧化数为+1。 +1 oxidation number of phosphorus. 特别优选新戊二醇甲基膦酸酯和新戊二醇甲基亚磷酸酯，还有季戊四醇二甲基二膦酸酯和二甲基季戊四醇二亚磷酸酯。  particularly preferably methyl phosphonate, neopentyl glycol and neopentyl glycol methyl phosphite, and pentaerythritol dimethyl phosphonate and dimethyl pentaerythritol diphosphite. 这类无卤的聚合磷化合物还可以通过膦酰氯如苯基_、甲基_、丙基_、苯乙烯基-或乙烯基膦酰二氯与二元酚如氢醌、间苯二酚、2，3，5-三甲基氢醌、双酚A或四甲基双酚A的反应而制备。   This halogen-free phosphorus compound may also be polymerized by _ phosphinic chloride such as phenyl, methyl _, _ propyl, styryl - or vinylphosphonic dichloride with a dihydric phenol such as hydroquinone , resorcinol, hydroquinone reaction 2,3,5-trimethyl, tetramethyl bisphenol a or of bisphenol a was prepared. 可以存在于本发明模塑组合物中的其他无卤的聚合磷化合物通过使三氯氧磷或磷酸酯二氯化物与单_、二-或三元酚和其他带有羟基的化合物的混合物反应而制备（参见Houben-Weyl-Miiller, Thieme-Verlag,德国Stuttgart, Organische Phosphorverbindungen Part 11(1963))。 Other halogen-free polymeric phosphorus compounds  may be present in the molding compositions of the present invention or by reacting phosphorus oxychloride and phosphoric acid ester dichloride _ mono, di - or trihydric phenol compound having a hydroxyl group and the other the mixture was prepared by reaction (see Houben-Weyl-Miiller, Thieme-Verlag, Germany, Stuttgart, Organische Phosphorverbindungen Part 11 (1963)). 还可以经由膦酸酯与二元酚的酯交换反应生产聚合膦酸酯（参见DE-A 29 25 208)或经由膦酸酯与二胺或与二酰胺或胼的反应生产聚合膦酸酯（参见US-A 4 403075)。 Producing a polymerization reaction may also be exchanged via the phosphonate ester and a dihydric phenol phosphonates (see DE-A 29 25 208) or via a phosphonate with a diamine or diamide or the corpus of the polymerization reaction for producing phosphonate ( see US-A 4 403075). 还可以使用无机化合物聚（磷酸铵）。 It may also be used an inorganic compound poly (ammonium phosphate). 按照EP-B 8 486，还可以使用低聚季戊四醇亚磷酸酯、季戊四醇磷酸酯和季戊四醇膦酸酯，例如Mobil Antiblaze® 19 (Mobil Oil的注册商标）。  according to EP-B 8 486, also possible to use oligomeric pentaerythritol phosphites, pentaerythritol phosphates and pentaerythritol phosphonates, e.g. 19 (registered trademark of Mobil Oil) Mobil Antiblaze®. X 为单键、C = 0、S、S02、C (CH3)2。  X is a single bond, C = 0, S, S02, C (CH3) 2. 优选的化合物C)是其中Ri-R2°相互独立地为氢和/或甲基的那些。  Preferred compounds C) wherein Ri-R2 ° is independently of one another are hydrogen and / or methyl. 若R1-R2q相互独立地为甲基，则优选其中相对于磷酸酯基团的氧位于邻位的基团R1、R5、R6、R1(l、R11、R15、 R16、R20为至少一个甲基的那些化合物C)。 When R1-R2q each independently methyl, which is preferable with respect to the oxygen of the phosphate group is located ortho to the group R1, R5, R6, R1 (l, R11, R15, R16, R20 is at least one methyl those compounds C). 还优选其中每个芳环优选在邻位存在一个甲基且其他基团为氢的化合物C)。 Further preferably wherein each aromatic ring is preferably a methyl group is present and the other radicals are hydrogen compound C) in the ortho position. 特别优选的取代基是SO2和S，而C(CH3)2对于上式（I)中的X是非常特别优选的。  Particularly preferred substituents are SO2 and S, and C (CH3) 2 for formula (I) wherein X is very particularly preferred. η的平均值优选为0. 5-5，尤其是0. 70_2，特别是〜1。  The average value of η is preferably 0. 5-5, in particular 0. 70_2, especially ~ 1. 作为平均值表述η是因为上列化合物的制备方法，其中低聚程度在大多数情况下小于10且存在的磷酸三苯基酯的含量非常小（在大多数情况下< 5重量％ )，这里就每一批料之间存在差异。  As the average value of η is expressed as the above method of preparation of compounds, wherein the oligomeric phosphoric acid is less than 10 degrees and in most cases the presence of triphenyl phosphate content of very small (in most cases <5 wt% ), where there is a difference between on each batch. 化合物C)可以CR-741由Daihachi市购。 Compounds C) may be commercially available CR-741 manufactured by Daihachi City. PN缩合物也是合适的，特别是WO 2002/96976中所述的那些。  PN condensates are also suitable, in particular those described in WO 2002/96976. 特别优选的组合C)是含磷和含氮化合物的混合物，优选的混合比为1 ： 10-10 ： 1，优选1 ： 9-9 ： 1。  A particularly preferred composition C) is a mixture of a phosphorus-containing and nitrogen-containing compounds, it preferred mixing ratio of 1: 10-10: 1, preferably 1: 9-9: 1. 本发明的模塑组合物可以包含0-60重量％，尤其是至多50重量％的其他添加剂和加工助剂作为组分D)。 The molding composition  of the present invention may comprise 0-60% by weight, in particular up to 50% by weight of other additives and processing aids as component D). 本发明的模塑组合物可以包含0-5重量％，优选0. 05-3重量％，特别是0. 1-2重量％的具有10-40个碳原子，优选16-22个碳原子的饱和或不饱和脂族羧酸与具有2-40个碳原子，优选2-6个碳原子的脂族饱和醇或胺的至少一种酯或酰胺作为组分D)。  The molding compositions of the invention may comprise 0-5% by weight, preferably 0. 05-3 wt%, in particular 0. 1-2% by weight having 10 to 40 carbon atoms, preferably 16-22 a saturated or unsaturated aliphatic carboxylic acids having carbon atoms of 2 to 40 carbon atoms, preferably 2-6 carbon atoms, a saturated aliphatic alcohol or amine at least one ester or amide thereof as component D). 羧酸可以是一元或二元的。  carboxylic acids may be monobasic or dibasic. 可以提到的实例是壬酸、棕榈酸、月桂酸、十七烷酸、 十二烷二酸、山嵛酸，特别优选硬脂酸、癸酸、以及褐煤酸（具有30-40个碳原子的脂肪酸混合物）。 Examples which may be mentioned are pelargonic acid, palmitic acid, lauric acid, heptadecanoic acid, dodecanedioic acid, behenic acid, particularly preferably stearic acid, capric acid, and montanic acid (having 30-40 carbon atoms the fatty acid mixture). 脂族醇可以是一元至四元的。  aliphatic alcohols may be a mono- to tetrahydric. 醇的实例是正丁醇、正辛醇、硬脂醇、乙二醇、丙二醇、新戊二醇、季戊四醇，优选甘油和季戊四醇。 Examples of alcohols are n-butanol, n-octanol, stearyl alcohol, ethylene glycol, propylene glycol, neopentyl glycol, pentaerythritol, glycerol and pentaerythritol preferably. 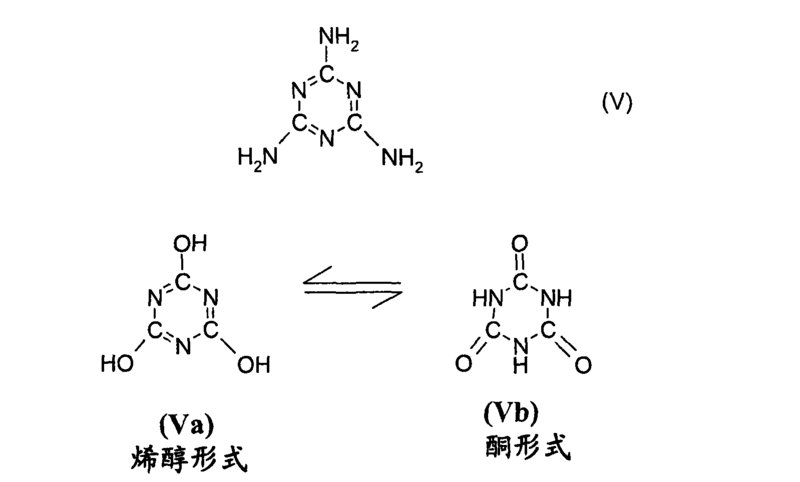 脂族胺可以是一元、二元或三元胺。  aliphatic amines may be mono-, di- or triamines. 其实例是硬脂胺、乙二胺、丙二胺、六亚甲基二胺、二（6-氨基己基）胺，特别优选乙二胺和六亚甲基二胺。 Examples thereof are stearylamine, ethylenediamine, propylenediamine, hexamethylenediamine, bis (6-aminohexyl) amine, ethylenediamine, and particularly preferably hexamethylenediamine. 相应地，优选的酯或酰胺是二硬脂酸甘油酯、三硬脂酸甘油酯、二硬脂酸乙二胺、单棕榈酸甘油酯、三月桂酸甘油酯、单山嵛酸甘油酯和四硬脂酸季戊四醇酯。 Accordingly, preferred esters or amides are glyceryl distearate, glyceryl tristearate, ethylenediamine distearate, glyceryl monopalmitate, glyceryl trilaurate, glyceryl behenate and single pentaerythritol tetrastearate. 还可以使用各种酯或酰胺的混合物，或者酯和酰胺的组合，这里的混合比根据需要而定。  also possible to use mixtures of various esters or amides, or a combination of esters and amides, where the mixing ratio according to the needs. 其它常用添加剂D)的用量实例是至多40重量％，优选至多30重量％的弹性聚合物（通常也称为抗冲改性剂、弹性体或橡胶）。  Other conventional additives D) is used in an amount up to 40 wt% example, preferably up to 30% by weight of elastomeric polymers (also commonly referred to as impact modifiers, elastomers or rubbers). 这些聚合物通常是优选由至少两种下列单体构成的共聚物：乙烯、丙烯、丁二烯、 异丁烯、异戊二烯、氯丁二烯、乙酸乙烯酯、苯乙烯、丙烯腈和在醇组分中具有1-18个碳原子的丙烯酸酯和/或甲基丙烯酸酯。  These polymers are generally preferably a copolymer composed of at least two of the following monomers: ethylene, propylene, butadiene, isobutylene, isoprene, chloroprene, vinyl acetate, styrene, acrylonitrile acrylates having 1 to 18 carbon atoms and / or methacrylic ester in the alcohol component. 这类聚合物例如描述于Houben-Weyl,Methoden der OrganischenChemie，第14/1 卷（Georg-Thieme-Verlag Jtuttgart，德国，1961)，第392-406 页以及CB Bucknall 的专论"Toughened Plastics，，(AppliedScience Publishers, London,UK,1977)。  Such polymers are described for example in Houben-Weyl, Methoden der OrganischenChemie, Vol. 14/1 (Georg-Thieme-Verlag Jtuttgart, Germany, 1961), pp. 392-406, and the monograph "CB Bucknall of Toughened Plastics ,, (AppliedScience Publishers, London, UK, 1977). 以下描述了该类弹性体的一些优选类型。  The following describes some preferred types of such elastomers. 该弹性体的优选类型是已知称为乙烯-丙烯橡胶（EPM)和乙烯-丙烯-二烯橡胶(EPDM)的那些。  Preferred types are known in the elastomer known as ethylene - propylene rubber (EPM) and ethylene - those diene rubber (EPDM) is - propylene. EPM橡胶通常实际上不含有残余双键，然而EPDM橡胶可以在每100个碳原子中具有1-20个双键。  EPM rubbers generally contain substantially no residual double bonds, whereas EPDM rubbers may have from 1 to 20 double bonds per 100 carbon atoms. 可以提到用于EPDM橡胶的二烯烃单体实例是共轭二烯烃，例如异戊二烯和丁二烯，具有5-25个碳原子的非共轭二烯烃，例如1，4_戊二烯、1，4_己二烯、1，5-己二烯、2， 5-二甲基-1，5-己二烯和1，4_辛二烯，环状二烯烃，例如环戊二烯、环己二烯、环辛二烯和二环戊二烯，以及链烯基降冰片烯，例如5-乙叉基-2-降冰片烯、5- 丁叉基-2-降冰片烯、 2-甲代烯丙基-5-降冰片烯和2-异丙烯基-5-降冰片烯，以及三环二烯烃，例如3-甲基三环[5. 2. 1. 0. 2. 6]-3，8_癸二烯，以及它们的混合物。  Examples which may be mentioned diene monomers for EPDM rubbers are conjugated dienes such as isoprene and butadiene, having 5 to 25 carbon atoms, non-conjugated dienes, for example 1,4 _ pentadiene, 1,4_-hexadiene, 1,5-hexadiene, 2, 5-dimethyl-1,5-hexadiene and 1,4_-octadiene, cyclic dienes, For example cyclopentadiene, cyclohexadiene, cyclooctadiene and dicyclopentadiene, and the alkenyl norbornene such as 5-ethylidene-2-norbornene, 5-butylidene-2 - norbornene, 2-methallyl-5-norbornene and 2-isopropenyl-5-norbornene, and tricyclo dienes such as 3-methyl-tricyclo [5. 2.1 0. 2.6] -3,8_ decadiene, and mixtures thereof. 优选1，5_己二烯、5-乙叉基降冰片烯和二环戊二烯。 Preferably 1,5_-hexadiene, 5-ethylidene norbornene and dicyclopentadiene. EPDM橡胶中的二烯烃含量基于橡胶的总重量优选为0. 5-50重量％，特别是1-8重量％。 Diene content of the EPDM rubber, based on the total weight of the rubber is preferably 0. 5-50% by weight, in particular 1-8% by weight. EPM和EPDM橡胶还可以优选用反应性羧酸或者用其衍生物接枝。  EPM and EPDM rubbers may also be preferably used, or a reactive carboxylic acid derivative thereof grafted. 这些化合物的实例是丙烯酸、甲基丙烯酸及其衍生物如（甲基）丙烯酸缩水甘油酯，以及马来酸酐。 Examples of such compounds are acrylic acid, methacrylic acid and derivatives thereof such as (meth) acrylate, and maleic anhydride. 乙烯与丙烯酸和/或甲基丙烯酸和/或与这些酸的酯形成的共聚物是另一组优选橡胶。  and ethylene and acrylic acid or methacrylic acid or a copolymer formed and esters of these acids and / / are another group of preferred rubbers. 该橡胶还可以包含二羧酸如马来酸和富马酸，或这些酸的衍生物如酯和酸酐，和/或含有环氧基团的单体。 The rubber may also comprise maleic acid and fumaric acid, derivatives of these acids or esters and anhydrides, and / or monomers such as epoxy group-containing group. 优选通过将含有二羧酸基团和/或环氧基团且具有式I、II、III或IV的单体加入单体混合物中而将含有二羧酸衍生物或含有环氧基团的这些单体掺入橡胶中。 Preferably by containing dicarboxylic acid groups and / or epoxide groups and having the formula I, monomer II, III or IV is added and the monomer mixture containing a dicarboxylic acid derivatives containing epoxy groups or monomer incorporated into the rubber. 其中R1-R9是氢或具有1-6个碳原子的烷基，m是0_20的整数，g是0_10的整数， 且P是0-5的整数。  wherein R1-R9 are hydrogen or alkyl having 1-6 carbon atoms, m is an integer of 0_20, g is an integer 0_10, and P is an integer of 0-5. R1-R9优选是氢，其中m是O或1且g是1。  R1-R9 are preferably hydrogen, where m is O or 1 and g is 1. 相应的化合物是马来酸、富马酸、马来酸酐、烯丙基缩水甘油醚和乙烯基缩水甘油醚。 Corresponding compounds are maleic acid, fumaric acid, maleic anhydride, allyl glycidyl ether and vinyl glycidyl ether. 优选的式I、II和IV的化合物是马来酸、马来酸酐和含有环氧基团的（甲基）丙烯酸酯，例如丙烯酸缩水甘油酯和甲基丙烯酸缩水甘油酯，以及与叔醇的酯如丙烯酸叔丁酯。  Preferred compounds of formula I, II and IV are maleic acid, maleic anhydride and (meth) acrylate having epoxy group such as glycidyl acrylate and glycidyl methacrylate, and a esters of tertiary alcohols such as tert-butyl acrylate. 虽然后者没有游离的羧基，但它们的性质近似于游离酸的性质，并因此将其称为具有潜在羧基的单体。 Although the latter have no free carboxyl group, but they are similar to the properties of the free nature of the acid, and thus referred to as a monomer having a carboxyl group potential. 该共聚物有利地由50-98重量％乙烯，0. 1-20重量％含有环氧基团的单体和/或甲基丙烯酸和/或含有酸酐基团的单体组成，余量为（甲基）丙烯酸酯。  Advantageously, the copolymer of 50-98 wt% ethylene, 0 to 20 wt% monomer and / or methacrylic acid and / or acid anhydride group-containing monomer is an epoxy group-containing composition, I an amount of (meth) acrylate. -1-45重量％，特别是10-40重量％的丙烯酸正丁酯和/或丙烯酸2_乙基己酯。  -1-45% by weight, in particular n-butyl acrylate and 10-40% by weight / ethylhexyl acrylate or methacrylate 2_. 其它优选的（甲基）丙烯酸酯是甲酯、乙酯、丙酯、异丁酯和叔丁酯。  Other preferred (meth) acrylates are methyl, ethyl, propyl, isobutyl, and tert-butyl. 除此以外，可以使用的共聚单体是乙烯基酯和乙烯基醚。  In addition, comonomers may be used are vinyl esters and vinyl ethers. 上述乙烯共聚物可以通过本身已知的方法制备，优选通过在高压和升高的温度下无规共聚而制备。  The ethylene copolymer may be prepared by methods known per se, preferably prepared by random copolymerization at high pressure and elevated temperature. 合适的方法是公知的。 Suitable methods are well known. 其它优选的弹性体是乳液聚合物，其制备例如由Blackley描述于专论“Emulsion polymerization”中。  Other preferred elastomers are emulsion polymers whose preparation is described, for example in the monograph by a Blackley "Emulsion polymerization" in. 可以使用的乳化剂和催化剂本身是已知的。 Emulsifiers and catalysts which can be used are known per se. 原则上可以使用具有均勻结构的弹性体或具有壳结构的弹性体。  elastomers may be used having a uniform structure or having an elastomeric shell structure in principle. 壳结构类型通过各个单体的加入顺序确定。 Shell structure type determined by the order of addition of the individual monomers. 该聚合物的形态也受到加入顺序的影响。 The morphology of the polymer is also affected by the order of addition. 在此仅作为例子可以提到的用于制备弹性体的橡胶部分的单体是丙烯酸酯如丙烯酸正丁酯和丙烯酸2-乙基己酯、相应的甲基丙烯酸酯、丁二烯和异戊二烯，以及它们的混合物。  Here only as monomers for preparing the elastomer rubber portion of an example may be mentioned acrylates, such as n-butyl acrylate and 2-ethylhexyl acrylate, corresponding methacrylates, butadiene and isoprene, and mixtures thereof. 这些单体可以与其它单体如苯乙烯、丙烯腈、乙烯基醚以及与其它丙烯酸酯或甲基丙烯酸酯如甲基丙烯酸甲酯、丙烯酸甲酯、丙烯酸乙酯或丙烯酸丙酯发生共聚。 These monomers may be with other monomers, such as styrene, acrylonitrile, vinyl ethers and with other acrylates or methacrylates such as methyl methacrylate, methyl acrylate, ethyl acrylate or propyl acrylate copolymerization. 弹性体的柔软或橡胶相（玻璃化转变温度低于0°C )可以是核、外部壳或中间壳(在弹性体结构具有2个以上壳的情况下）。 (In the case having two or more shells of elastomeric structure)  The soft elastomeric or rubber phase (with a glass transition temperature below 0 ° C) may be the core, intermediate shell or outer shell. 具有1个以上壳的弹性体还可以具有1个以上的由橡胶相构成的壳。 An elastic member having at least one shell may also have a shell composed of a rubber with one or more. 如果在弹性体的结构中除了橡胶相以外还涉及一种或多种硬组分（玻璃化转变温度高于20°C )，那么这些硬组分通常通过聚合作为主要单体的苯乙烯、丙烯腈、甲基丙烯腈、α -甲基苯乙烯、对甲基苯乙烯或者丙烯酸酯或甲基丙烯酸酯如丙烯酸甲酯、丙烯酸乙酯或甲基丙烯酸甲酯而制备。  If in addition to the rubber phase further involve one or more rigid structural components of the elastomer (glass transition temperatures above 20 ° C), then these are usually hard component by polymerizing a major monomer of benzene ethylene, acrylonitrile, methacrylonitrile, α - methyl styrene, p-methyl styrene, or acrylates or methacrylates such as methyl acrylate, ethyl acrylate prepared or methyl methacrylate. 除此以外，还可以使用较少比例的其它共聚单体。 In addition, also other comonomers in a minor proportion. Z是C1-Cltl亚烷基或C6-C12亚芳基。  Z is C1-Cltl alkylene or C6-C12 arylene group. EP-A 208 187中描述的接枝单体还适合在表面引入反应性基团。  EP-A 208 187 describes a graft monomer is also suitable for introducing reactive groups at the surface. 可以提到的其它实例是丙烯酰胺、甲基丙烯酰胺和取代的丙烯酸酯或甲基丙烯酸酯，例如甲基丙烯酸（N-叔丁基氨基）乙酯、丙烯酸（Ν，Ν-二甲氨基）乙酯、丙烯酸（Ν，Ν-二甲氨基）甲酯和丙烯酸（N，N-二乙氨基）乙酯。  Other examples which may be mentioned are acrylamide, methacrylamide and substituted acrylates or methacrylates, such as methacrylic acid (N- tert-butylamino) ethyl acrylate (Ν, Ν- two methylamino) ethyl acrylate (Ν, Ν- dimethylamino) methyl acrylate and (N, N- diethylamino) ethyl. 橡胶相的颗粒还可以被交联。  particles of the rubber phase may also be crosslinked. 交联单体的实例是1，3-丁二烯、二乙烯基苯、邻苯二甲酸二烯丙酯和丙烯酸二氢二环戊二烯基酯，以及EP-A 50265中描述的化合物。 Examples of crosslinking monomers are 1,3-butadiene, divinylbenzene, diallyl phthalate and dihydro dicyclopentadienyl acrylate esters, and EP-A 50265 compounds are described. 还可以使用已知为接枝-连接单体的单体，即具有在聚合过程中以不同的速率发生反应的两个或更多个可聚合双键的单体。  Use may also be known as a graft - linking monomers monomers, i.e., having two or more polymerizable double bonds of the monomers react during the polymerization at different rates. 优选使用这类化合物，即其中至少一个反应性基团以大约与其它单体相同的速率发生聚合，而其它反应性基团例如显著更慢地发生聚合。 Such compounds are preferably used, i.e., wherein the at least one reactive group at approximately the same rate as the other monomers is polymerized, while the other reactive groups significantly more slowly polymerized example. 不同的聚合速率在橡胶中产生特定比例的不饱和双键。 The different polymerization rates to produce a particular ratio of the unsaturated double bonds in the rubber. 如果随后将另一相接枝到这类橡胶上，那么橡胶中存在的至少某些双键与接枝单体发生反应形成化学键，即被接枝的相至少与接枝基质具有某种程度的化学键合。 If another phase is then grafted onto such a rubber, then at least some of the double bonds present in the rubber monomer in the grafting reaction to form chemical bonds, i.e. grafted with the graft matrix having at least some degree of chemical bonding. 这类接枝-连接单体的实例是含有烯丙基的单体，特别是烯属不饱和羧酸的烯丙酯，例如丙烯酸烯丙酯、甲基丙烯酸烯丙酯、马来酸二烯丙酯、富马酸二烯丙酯和衣康酸二烯丙酯，以及这些二羧酸的相应单烯丙酯化合物。  Such graft - Examples of linking monomers are allyl group-containing monomers, especially ethylenically unsaturated carboxylic acid allyl esters such as allyl acrylate, allyl methacrylate, maleic acid, diallyl fumarate, diallyl itaconate, diallyl acid, and the corresponding monoallyl ester of a dicarboxylic acid compound. 除此以外还有各种其它的合适接枝-连接单体。 In addition there are a variety of other suitable graft - linking monomers. 进一步的细节在此可以参考例如US-A 4 148 846。 Further details of which reference may be, for example, US-A 4 148 846. 基于抗冲改性聚合物，这些交联单体在抗冲改性聚合物中的比例通常是至多5重量％，优选不超过3重量％。  Based on the impact modifier polymer, the proportion of these crosslinking monomers in the impact-modifying polymer is generally up to 5% by weight, preferably not more than 3 wt%. 这些接枝聚合物，特别是ABS聚合物和/或ASA聚合物的优选用量对于PBT的抗冲改性为至多40重量％，如果合适以与至多40重量％的聚对苯二甲酸乙二醇酯的混合物使用。  These graft polymers, in particular ABS polymers and / or ASA polymer is preferably used in an amount to impact modified PBT is at most 40% by weight, and if appropriate up to 40% by weight of polyethylene terephthalate mixture of ethylene glycol esters. 这类共混产物可以以商标Ultradur®S(以前是Ultrablend® S，来自BASF AG)而得到。 Such products may be blended trademark Ultradur®S (formerly Ultrablend® S, from BASF AG) is obtained. 除了其结构具有一个以上壳的接枝聚合物以外，还可以使用由1，3_ 丁二烯、异戊二烯和丙烯酸正丁酯，或者由它们的共聚物构成的均勻（即单壳）弹性体。  In addition to the graft polymer having a structure other than the above case, may be used by the 1,3_ butadiene, isoprene and n-butyl acrylate, or a copolymer thereof uniform (i.e. single shell) elastomer. 这些产物也可以通过同时使用交联单体或具有反应性基团的单体而制备。 These products may also be prepared simultaneously by using a monomer or monomers having a crosslinking reactive group. 优选的乳液聚合物的实例是丙烯酸正丁酯_(甲基）丙烯酸共聚物，丙烯酸正丁酯-丙烯酸缩水甘油酯或者丙烯酸正丁酯-甲基丙烯酸缩水甘油酯共聚物，具有由丙烯酸正丁酯构成或基于丁二烯的内部核且具有由上述共聚物构成的外部壳的接枝聚合物，以及乙烯与提供反应性基团的共聚单体的共聚物。 Examples  The preferred emulsion polymers are n-butyl acrylate _ (meth) acrylic acid copolymer, n-butyl acrylate - glycidyl acrylate or n-butyl acrylate - glycidyl methacrylate copolymer, having a graft polymer based on n-butyl acrylate or butadiene and inner core having an outer shell composed of the copolymer, and copolymers of ethylene with comonomers which supply reactive groups. [0371 ] 所述弹性体还可以通过其它常规方法如悬浮聚合而制备。 The  elastomer may also be by other conventional methods such as suspension polymerization prepared. 还优选硅橡胶，如DE-A 37 25 576, EP-A 235 690, DE-A 38 00 603 和EP-A 319290中所述。  Also preferably silicone rubber, such as DE-A 37 25 576, EP-A 235 690, DE-A 38 00 603 and EP-A 319290 in the. 当然还可以使用以上列举的各类橡胶的混合物。  Of course, also mixtures of the above-listed various types of rubber may be used. 可以提到的纤维状或颗粒状填料D)是碳纤维、玻璃纤维、玻璃珠、无定形二氧化硅、石棉、硅酸钙、偏硅酸钙、碳酸镁、高岭土、白垩、粉末石英、云母、硫酸钡和长石，用量为至多50重量％，特别是至多40重量％。  Mention may be made of fibrous or particulate fillers D) are carbon fibers, glass fibers, glass beads, amorphous silica, asbestos, calcium silicate, calcium metasilicate, magnesium carbonate, kaolin, chalk, powdered quartz , mica, barium sulfate, and feldspar, an amount of up to 50% by weight, in particular up to 40 wt%. 可以提到的优选纤维填料是碳纤维、芳族聚酰胺纤维和钛酸钾纤维，特别优选E 玻璃形式的玻璃纤维。  Preferred fibrous fillers which may be mentioned are carbon fibers, aromatic polyamide fibers and potassium titanate fibers, E glass is particularly preferred in the form of glass fibers. 这些材料可以作为粗纱或以市售的短切玻璃纤维形式而使用。 These materials may be commercially available as roving or chopped glass fibers form used. 特别优选比例为1 ： 100-1 ： 2，优选1 ： 10_1 ： 3的玻璃纤维D)与组分B)的混合物。  Particularly preferred ratio is 1: 100 to 1: 2, preferably 1: 3 mixture of glass fibers D) to component B): 10_1. 纤维填料可以用硅烷化合物进行表面预处理以改进与热塑性材料的相容性。  surface of the fibrous fillers may be pretreated with a silane compound to improve compatibility with the thermoplastic material. k是1-3，优选1的整数。  k is preferably an integer of 1 1-3. 优选的硅烷化合物是氨基丙基三甲氧基硅烷、氨基丁基三甲氧基硅烷、氨基丙基三乙氧基硅烷和氨基丁基三乙氧基硅烷，以及含有缩水甘油基作为取代基X的相应硅烷。  Preferred silane compound is aminopropyl trimethoxy silane, aminobutyl trimethoxysilane, aminopropyl triethoxysilane and aminobutyl triethoxysilane, and glycidyl group-containing group as a substituent X is the corresponding silanes. 用于表面涂覆的硅烷化合物的用量通常为0. 05-5重量％，优选0. 5-1. 5重量％， 特别是0.8-1重量％ (基于D)。 The amount of the silane compound is  generally used for surface coating of 0. 05-5% by weight, preferably 0. 5-1. 5% by weight, in particular 0.8-1% by weight (based on D). 针状矿物填料也是合适的。  acicular mineral fillers are also suitable. 对于本发明而言，针状矿物填料是具有明显建立的针状特征的矿物填料。  For the purposes of the present invention, acicular mineral filler is a mineral filler having an established obvious acicular character. 其实例是针状硅灰石。 Examples of these are needle-like wollastonite. 该矿物填料优选具有8 ： 1至35 ： 1，优选8 ： 1至11 ： 1的L/D比（长径比）。 The mineral filler is preferably 8: 1 to 35: 1, preferably 8: 1 to 11: 1 L / D ratio (aspect ratio). 如果需要，该矿物填料可以用上述硅烷化合物进行预处理，但预处理不是必需的。 If desired, the mineral filler may be pretreated with the silane compound, but the pretreatment is not required. 可以提到的其它填料是高岭土、焙烧高岭土、硅灰石、滑石和白垩。  Other fillers which may be mentioned are kaolin, calcined kaolin, wollastonite, talc and chalk. 作为组分D)，本发明的热塑性模塑组合物可以包含常用的加工助剂，例如稳定剂、 氧化抑制剂、用于抵抗热分解和紫外光分解的试剂、润滑剂和脱模剂、着色剂如染料和颜料、成核剂、增塑剂等。  as component D), the thermoplastic molding compositions of the invention may comprise conventional processing aids, such as stabilizers, oxidation inhibitors, ultraviolet light is used to resist thermal decomposition and decomposition agents, lubricants and mold release agents, colorants such as dyes and pigments, nucleating agents, plasticizers, and the like. 可以提到的氧化抑制剂和热稳定剂的实例是空间位阻酚和/或亚磷酸酯、氢醌、 芳族仲胺如二苯胺，这些组的各种取代成员，以及它们的混合物，基于热塑性模塑组合物的重量，这些物质的浓度为至多1重量％。  Examples of oxidation inhibitors and heat stabilizers which may be mentioned sterically hindered phenols and / or phosphites, hydroquinones, aromatic secondary amines such as diphenylamines, various substituted members of these groups, and their mixture, based on the weight of the thermoplastic molding compositions, the concentration of these substances is up to 1 wt%. 基于模塑组合物的通常用量为至多2重量％的可以提到的UV稳定剂是各种取代的间苯二酚、水杨酸酯、苯并三唑和二苯甲酮。  Based on the molding composition is generally used in an amount of up to 2% by weight of UV stabilizers which may be mentioned are various substituted resorcinols, salicylates, benzotriazoles, and benzophenones. 可以加入的着色剂是无机颜料，例如二氧化钛、群青蓝、氧化铁和炭黑，以及有机颜料，例如酞菁、喹吖啶酮和茈，以及染料，例如苯胺黑和蒽醌。  The colorant may be added are inorganic pigments such as titanium dioxide, ultramarine blue, iron oxide, and carbon black, and organic pigments such as phthalocyanine, quinacridone and perylene, and dyes such as nigrosine and anthraquinones. 可以使用的成核剂是苯次膦酸钠、氧化铝、二氧化硅以及优选的滑石。  The nucleating agent may be used is benzene sodium phosphinate, alumina, silica, and preferably talc. 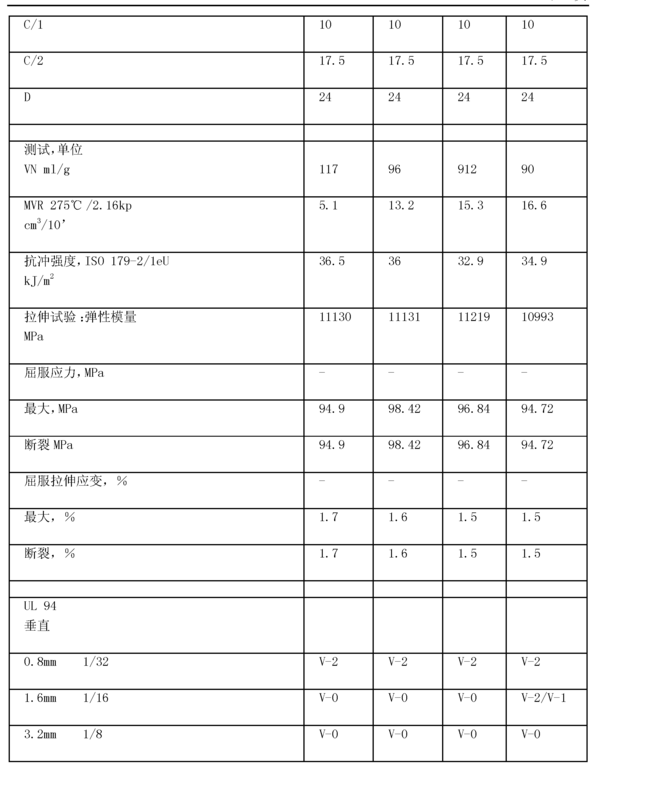 其它润滑剂和脱模剂的常用量为至多1重量％。  Other lubricants and release agents used amounts to at most 1 wt%. 优选长链脂肪酸（例如硬脂酸或山嵛酸）、它们的盐（例如硬脂酸钙或硬脂酸锌）或褐煤蜡（链长为观-32个碳原子的直链饱和羧酸的混合物），或者褐煤酸钙或褐煤酸钠，或者低分子量的聚乙烯蜡或低分子量的聚丙烯蜡。 Preferred long chain fatty acids (e.g. stearic acid or behenic acid), salts thereof (e.g. calcium stearate or zinc stearate) or montan waxes (chain length concept -32 carbon atoms of straight-chain saturated carboxylic acids the mixture), or calcium montanate or sodium montanate, polyethylene wax or polypropylene wax or low molecular weight low molecular weight. 可以提到的增塑剂实例是邻苯二甲酸二辛酯、邻苯二甲酸二苄酯、邻苯二甲酸丁苄酯、烃油和N-(正丁基）苯磺酰胺。  Examples of plasticizers which may be mentioned are dioctyl phthalate, dibenzyl phthalate, butyl benzyl phthalate, hydrocarbon oils and N- (n-butyl) benzenesulfonamide. 本发明的模塑组合物还可以含有0-2重量％的含氟乙烯聚合物。 The molding composition  of the present invention may further contain 0-2% by weight of the fluorine-containing ethylenic polymer. 这些是氟含量为55-76重量％，优选70-76重量％的乙烯聚合物。 The fluorine content of 55-76 wt%, preferably 70-76% by weight of ethylene polymer. 这些聚合物的实例是聚四氟乙烯（PTFE)、四氟乙烯-六氟丙烯共聚物和四氟乙烯与相对较少比例（通常至多为50重量％)的可共聚烯属不饱和单体的共聚物。  Examples of such polymers are polytetrafluoroethylene (PTFE), tetrafluoroethylene - hexafluoropropylene copolymer and tetrafluoroethylene with a relatively small proportion (typically up to 50% by weight) of copolymerizable ethylenically unsaturated copolymer of a monomer. 这些聚合物例如由^Aildknecht 描述于“Vinyl and RelatedPolymers”，Wiley-Verlag，1952，第484-494 页，以及由Wall 描述于“Fluoropolymers” (Wiley Interscience, 1972)。 These polymers are described, for example, by a ^ Aildknecht in "Vinyl and RelatedPolymers", Wiley-Verlag, 1952, pp. 484-494, and described by Wall in "Fluoropolymers" (Wiley Interscience, 1972). 这些含氟的乙烯聚合物在模塑组合物中均勻分布，且优选具有0. 05-10 μ m,特别是0. 1-5 μ m范围的粒度d5(l (数均)。特别优选这些小粒度可以通过使用含氟乙烯聚合物的水分散体并将其掺入聚酯熔体中而获得。  These fluorine-containing ethylene polymer is uniformly distributed in the molding composition, and preferably 0. 05-10 μ m, in particular 0. 1-5 μ m particle size range d5 (l (number average). these small particle sizes can be particularly preferably by using aqueous dispersions of fluorine-containing ethylenic polymer melt and incorporated into the polyester which is obtained. 本发明的热塑性模塑组合物可以通过本身已知的方法，通过在常规混合设备如螺杆挤出机、Brabender混合机或Banbury混合机中混合起始组分，随后将其挤出而制备。  The thermoplastic molding compositions of the invention can be prepared by methods known per se, by subsequently extruded in conventional mixing equipment such as screw extruders, Brabender mixers or Banbury mixers, mixing the starting components, preparation. 然后可以将挤出物冷却并粉碎。 The extrudate may then be cooled and pulverized. 还可以预混合单独的组分，然后单独和/或同样以混合物加入剩余的原料。 You may also be premixed individual components and then individually and / or in a mixture similarly add the remaining ingredients. 混合温度通常为230-290°C。 Mixing temperatures are generally 230-290 ° C.
 在另一个优选的操作方法中，可以将组分B)和C)以及如果合适还有D)与预聚物混合，进行配混并造粒。  In another preferred method of operation, it may be components B) and C) and, if appropriate, D) mixed with a prepolymer, compounded and pelletized. 然后在惰性气体中在低于组分A)熔点的温度下将所得的粒料连续或分批地进行固相缩合直至达到所需粘度。 Then an inert gas below the component A) at a temperature of the melting point of the resulting pellets continuously or batchwise solid-phase condensation until a desired viscosity. 本发明的热塑性模塑组合物的特征在于具有良好的流动性以及良好的机械性能和阻燃性。  The thermoplastic molding compositions according to the present invention has good flowability and good mechanical properties and flame retardancy. 特别是，各组分的加工是没有问题的（没有聚集或结块），并且可以在短循环时间内进行，因此特别可能的应用是具有非常少的模具沉积的薄壁组件。  In particular, the processing of the components is no problem (no aggregation or agglomeration), and may be performed in a short cycle time, it is particularly possible applications with very little mold deposit of thin-walled components. 通过透射电子显微术研究选定的配混材料的形态。  morphology selected by transmission electron microscopy cytometry studies compounded material. 发现颗粒良好地分散在共混物中。 It found that the particles be well dispersed in the blend. 观察到粒度为20-500nm。 Observed particle size of 20-500nm. 添加剂的典型渗出达到最小。 Typical additives to minimize bleeding. 这些材料适合生产纤维、箔或任何类型的模制品，特别是适合作为插头、开关、外壳部件、外壳盖、头灯的前盖、淋浴喷头、配件、熨斗、旋转开关、炉控制装置、煎锅盖、门把手、（后视）镜外壳、挡风玻璃上的雨刷、光导体的护套的应用。  These materials are suitable for production of fibers, foils, or moldings of any type, is particularly suitable as plugs, switches, housing parts, the housing cover, the front cover of the headlight, shower heads, parts, irons, rotary switches, furnace control means , fried lid, door handles, (rear view) mirror housings, windshield wipers, use photoconductor sheath. 特别优选在电气和电子领域，特别是灯部件如灯座和灯架，插头和多点连接器，卷线筒，电容器和连接器外壳以及断路器，继电器外壳和反射器中的应用。  In the electrical and electronic fields, in particular as a lamp socket and lamp holder parts, plugs and multipoint connectors, coil bobbin, capacitor, and the connector housing and circuit breakers, relays and the reflector housing is particularly preferred application . 聚对苯二甲酸丁二醇酯，粘数VN为130ml/g且羧端基含量为3%ieq/kg(BASF AG 的Ultradur®B) (VN在25°C下在重量比为1 ： 1的苯酚/邻二氯苯混合物中的浓度为0. 5 重量％的溶液中测量）。  polyethylene terephthalate, polybutylene terephthalate, a viscosity number VN of 130ml / g and a carboxyl end group content of 3% ieq / kg (BASF AG of Ultradur®B) (VN at 25 ° C for a weight ratio of 1: 1 phenol / o-dichlorobenzene mixture in a concentration of 0.5% by weight solution of measurement). 通用操作说明： 如表1所示，在装有搅拌器、回流冷凝器和内部温度计的三颈烧瓶中混合等摩尔量的多元醇和碳酸二乙酯并加入250ppm催化剂（基于醇的量）。  General Instructions:  As shown in Table 1, equipped with a stirrer, a molar amount of three-necked flask with a reflux condenser and internal thermometer and mixing the polyol and diethyl carbonate and a catalyst was added 250ppm (based on amount of alcohol). 然后将混合物在搅拌下加热到100°C，在以*标识的试验中加热到140°C，并在该温度下搅拌2小时。 The mixture was then heated under stirring to 100 ° C, heated to 140 ° C in the test identified by * and stirred at this temperature for 2 hours. 随着反应的进行，这里由于释放的一元醇所引起的蒸发冷却将反应混合物的温度降低。 As the reaction proceeds, since evaporative cooling where monol release caused the reaction mixture temperature is lowered. 现在将回流冷凝器换为倾斜冷凝器，蒸馏除去乙醇，并将反应混合物的温度缓慢升高到160°C。 The reflux condenser was replaced now inclined condenser, ethanol was distilled off, and the temperature of the reaction mixture was slowly raised to 160 ° C.
 在冷却的圆底烧瓶中收集蒸馏除去的乙醇并称重，由此以基于理论上可能的完全转化率的百分数确定转化率（见表1)。  collected in a round bottom flask was cooled and the ethanol was distilled off weighed, whereby a percentage based on the theoretically possible complete conversion rate conversion was determined (see Table 1). 然后通过凝胶渗透色谱法分析反应产物，洗脱液是二甲基乙酰胺，标准物是聚甲基丙烯酸甲酯（PMMA)。  The reaction product was then analyzed by gel permeation chromatography, eluted with dimethylacetamide, a standard polymethyl methacrylate (PMMA). 在双螺杆挤出机中在250-260°C下共混组分A) -D)，并且将其挤入水浴中。  In a twin screw extruder at 250-260 ° C the blend components A) -D), and which squeeze water bath. 在造粒并干燥以后，将测试样品注塑并进行测试。 After granulation and drying, the test samples were injection molded and tested. 将粒料注塑得到ISO 527-2哑铃样品并进行拉伸测试。  The obtained pellets were injection molded ISO 527-2 dumbbell samples and subjected to a tensile test. 还根据IS0179-2测定抗冲强度，还测定了粘度（根据DIN 537¾，PBT的溶剂为苯酚/1,2-二氯铝（1 ： 1)，ISO 1628), MVRdSO 1133)和流动性质，以及根据UL 94测定阻燃性。 Impact strength was measured according to IS0179-2 also, the viscosity is also measured (in accordance with the solvent DIN 537¾, PBT are phenol / 1,2-dichloro-aluminum (1: 1), ISO 1628), 1133), and flow properties MVRdSO, and flame retardancy was measured in accordance with UL 94. 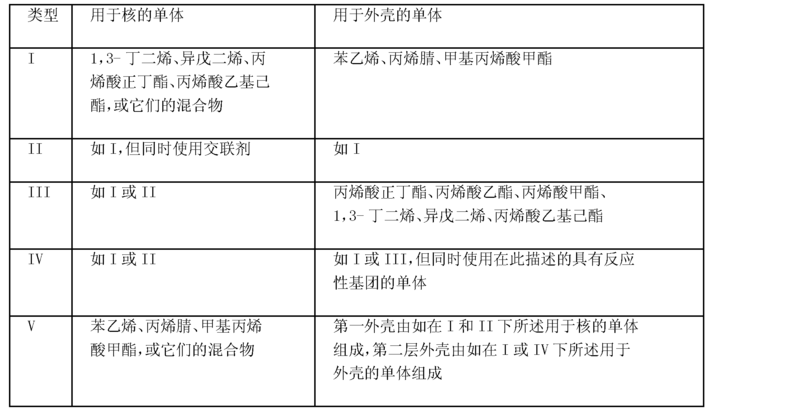 [0421 ] 本发明组合物和测试结果可以在表中找到。  The composition of the present invention and the test results can be found in the table. 1. 一种热塑性模塑组合物，包含：A) 10-98重量％至少一种选自聚酰胺、乙烯基芳族聚合物、ASA聚合物、ABS聚合物、SAN 聚合物、POM、PPE、聚亚芳基醚砜、聚酯和聚碳酸酯的热塑性聚合物，B) 0.01-50 重量％的Bi)或B2)：Bi)至少一种根据DIN 53M0，第2部分的OH数为l_600mg KOH/g聚碳酸酯的超支化聚碳酸酯，或B2)至少一种Ajy型超支化聚酯，其中χ为至少1. 1且y为至少2. 1，其中AJy型聚酯为由χ-官能分子A和y-官能分子B组成的缩合物，或它们的混合物，C) 1-40重量％无卤阻燃剂，选自含磷或含氮化合物，或PN缩合物，或它们的混合物，D)0-60重量％其他添加剂，其中组分A)-D)的重量百分数之和为100%，其中超支化表示支化度为10-99.9%。 1. A thermoplastic molding composition comprising: A) 10-98% by weight of at least one selected from polyamides, vinylaromatic polymers, ASA polymers, ABS polymers, SAN polymers, POM, PPE, polyarylene ether sulfone, polyesters and polycarbonates thermoplastic polymer, B) 0.01-50 wt% of Bi) or B2): Bi) in accordance with at least one 53M0, an OH number of part 2 DIN l_600mg KOH / g polycarbonate hyperbranched polycarbonate, or B2) at least one hyperbranched polyester type Ajy, wherein χ is at least 1.1 and y is at least 2.1, wherein the polyester by χ- functional AJy condensates of molecules a and B consisting of y- functional molecules, or a mixture thereof, C) 1-40 wt% halogenated flame retardants, phosphorus-containing or nitrogen-containing compound is selected from, or PN condensates, or mixtures thereof, percentages by weight of D) 0-60% by weight of other additives, wherein component a) -D) is 100%, wherein the degree of branching of the hyperbranched represents 10 to 99.9%. 2.根据权利要求1的热塑性模塑组合物，其中组分Bi)的数均摩尔质量Mn为100-15 OOOg/mol。 2. The thermoplastic molding composition according to claim 1, wherein component Bi) has a number average molar mass Mn of 100-15 OOOg / mol. 6.根据权利要求1-4中任一项的热塑性模塑组合物，其中组分B2)的数均摩尔质量Mn 为300-30 000g/mol。 The thermoplastic molding composition according to any one of claims 1 to 4, wherein the number of component B2) average molar mass Mn of 300-30 000g / mol. 7.根据权利要求5的热塑性模塑组合物，其中组分B2)的数均摩尔质量Mn为300-30 OOOg/mol。 7. The thermoplastic molding composition according to claim 5, wherein the number of component B2) average molar mass Mn of 300-30 OOOg / mol. 8.根据权利要求1-4中任一项的热塑性模塑组合物，其中组分B2)的玻璃化转变温度！ 8. The thermoplastic molding composition according to any one of claims 1-4, wherein component B2) has a glass transition temperature! ；为-50°C至140°C。 ; Of -50 ° C to 140 ° C.
9.根据权利要求1-4中任一项的热塑性模塑组合物，其中组分B2)的根据DIN 53240 的OH数为0-600mg K0H/g聚酯。 9. A thermoplastic molding composition as claimed in any one of claims 1 to 4, wherein component B2) according to the number of OH DIN 53240 0-600mg K0H / g polyester. 10.根据权利要求1-4中任一项的热塑性模塑组合物，其中组分似）的根据DIN 53240 的C00H 数为0-600mg K0H/g 聚酯。 10. The thermoplastic molding composition according to any one of claims 1-4, wherein like components) based on the number of C00H DIN 53240 0-600mg K0H / g polyester. 11.根据权利要求1-4中任一项的热塑性模塑组合物，其中组分似）具有至少一个大于0的OH数或C00H数。 1-4 11. The thermoplastic molding composition according to any one of claims, wherein component like) having an OH number of at least one or C00H number greater than 0. 12.根据权利要求1-4中任一项的热塑性模塑组合物，其中组分Bi) ： B2)的比例为1 ： 20-20 ： 1。 12. The thermoplastic molding composition according to any one of claims 1-4, wherein the component of Bi): the ratio of B2) is 1: 20-20: 1. 13.根据权利要求1-12中任一项的热塑性模塑组合物在生产纤维、箔或任何类型的模制品中的用途。 13. The use in the production of fibers, foils, or moldings of any type of thermoplastic molding composition according to any one of claims 1-12 claims. 14.由根据权利要求1-12中任一项的热塑性模塑组合物得到的纤维、箔或任何类型的模制品。 14. A thermoplastic molding compositions of fibers obtained according to any one of 1-12, any type of foil or molded article according to claim. DE68917352D1 (en) * 1988-04-20 1994-09-15 Kuraray Co Trimethylolheptane and their application. NL1001753C2 (en) * 1995-11-28 1997-05-30 Dsm Nv A composition comprising a plastic and an additive. ES2312138T3 (en) 2009-02-16 fluid polyester with polyester elastomers. ES2358444T3 (en) 2011-05-10 Fibers and pet containers for liquids.